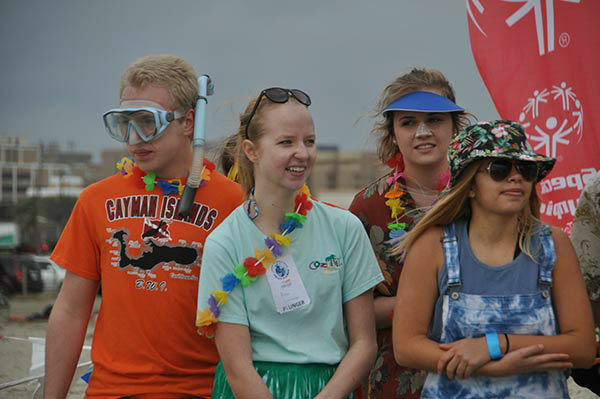 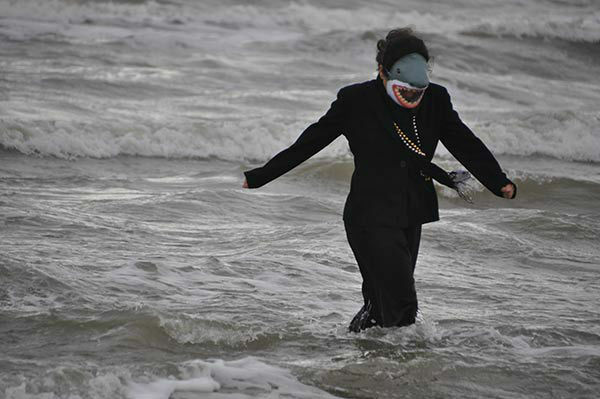 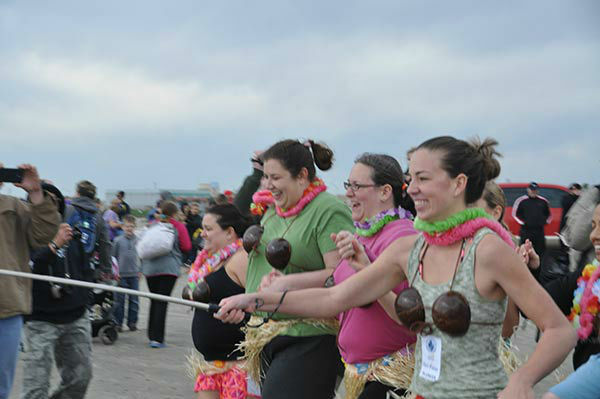 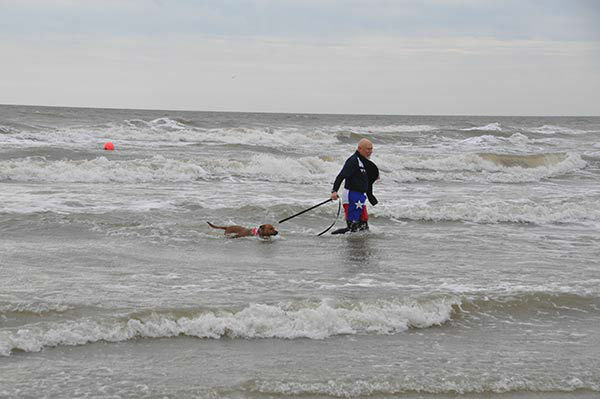 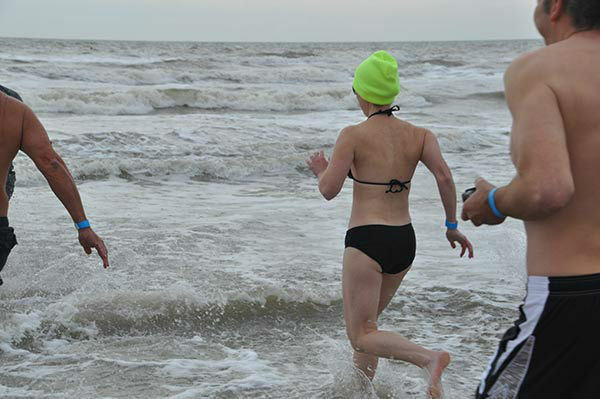 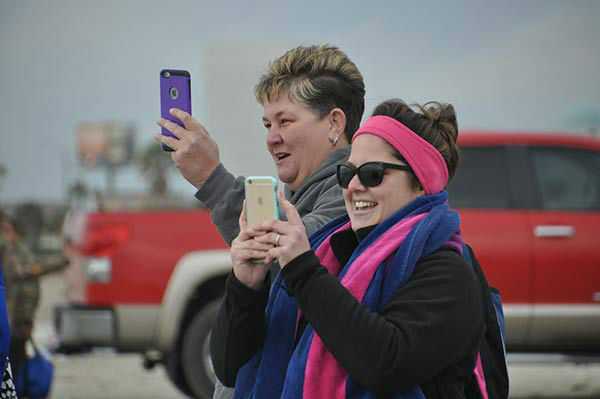 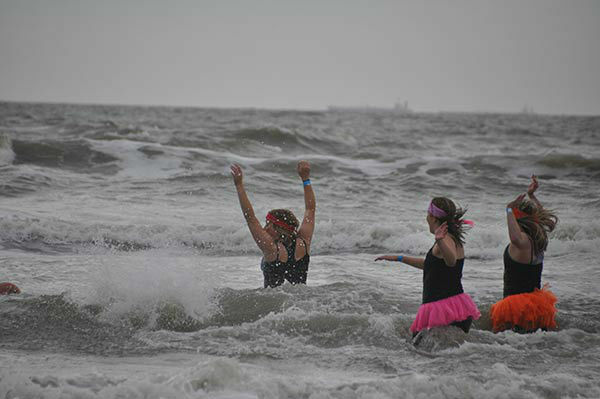 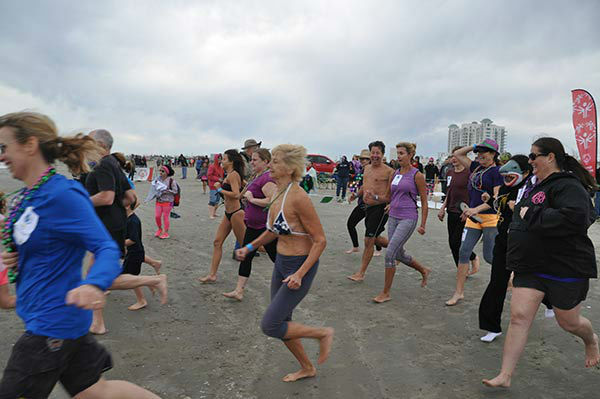 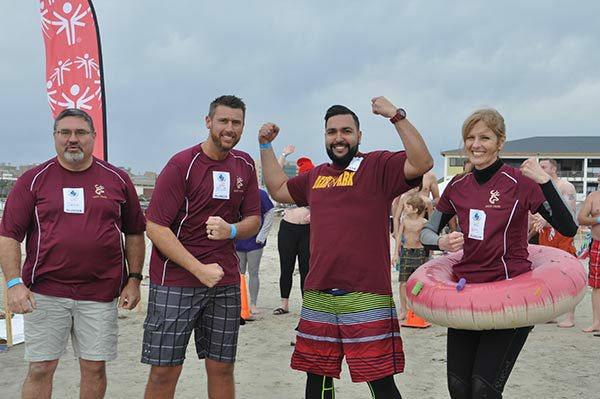 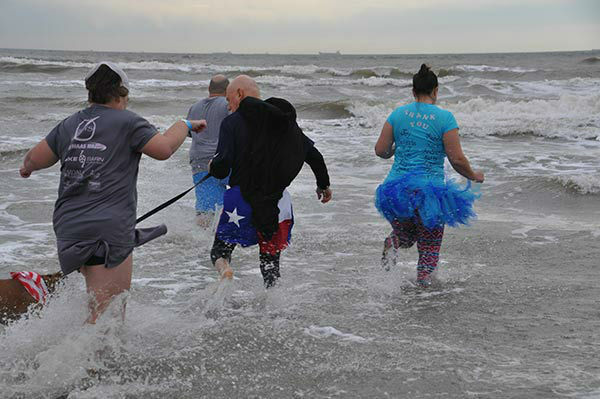 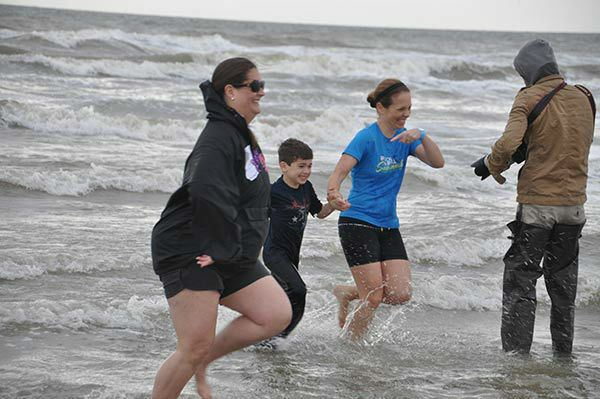 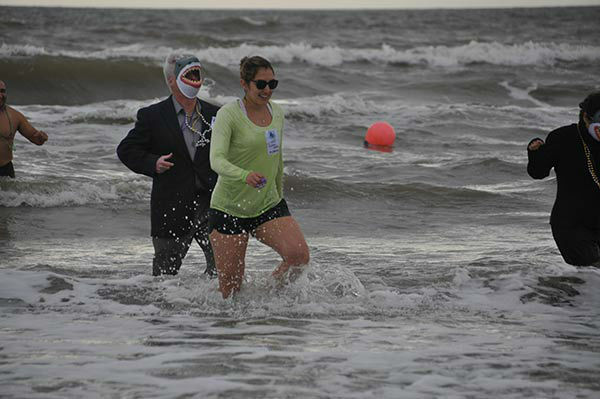 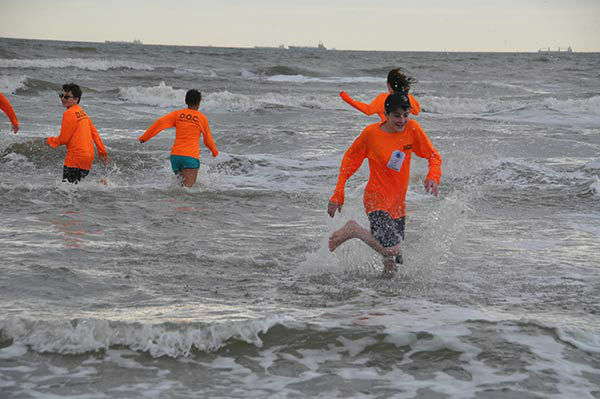 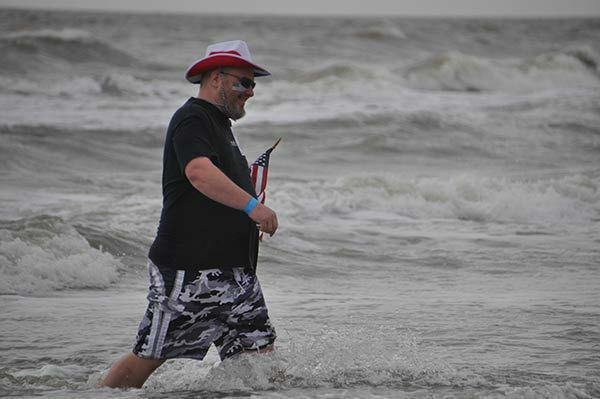 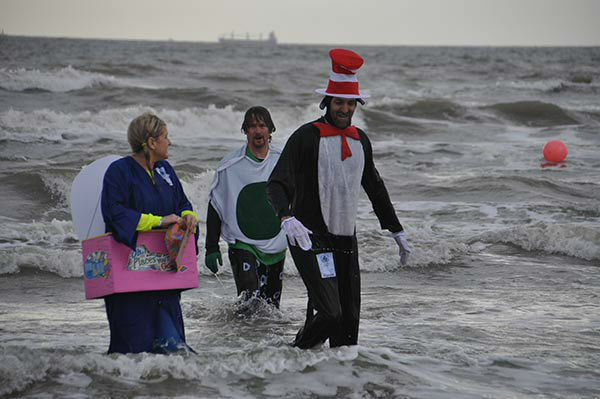 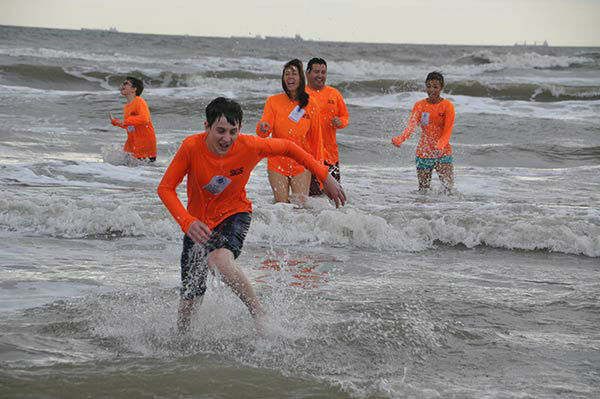 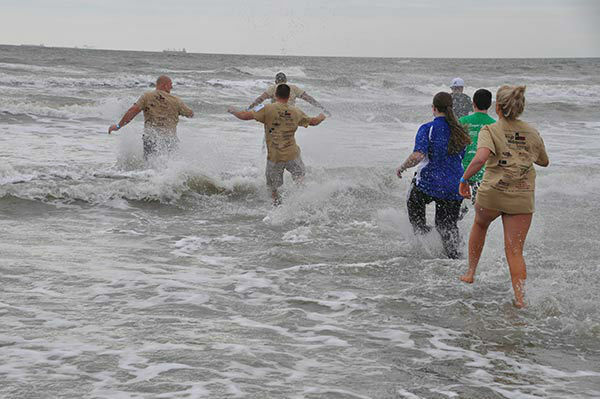 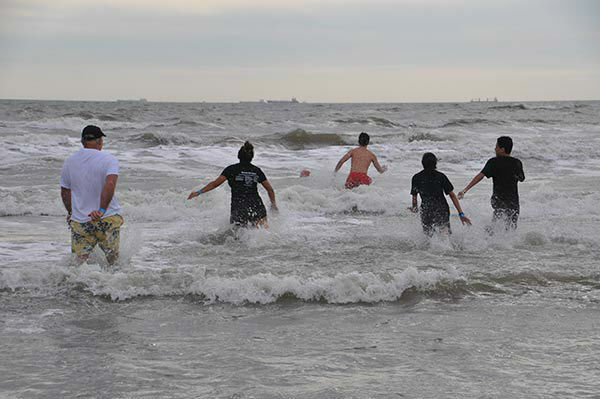 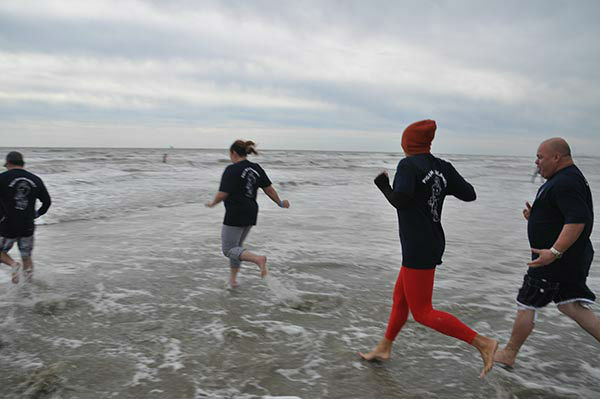 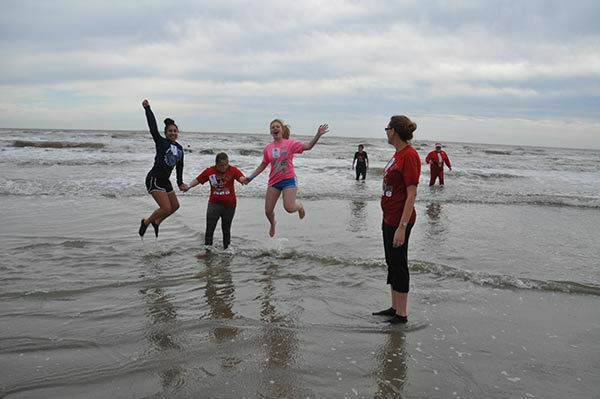 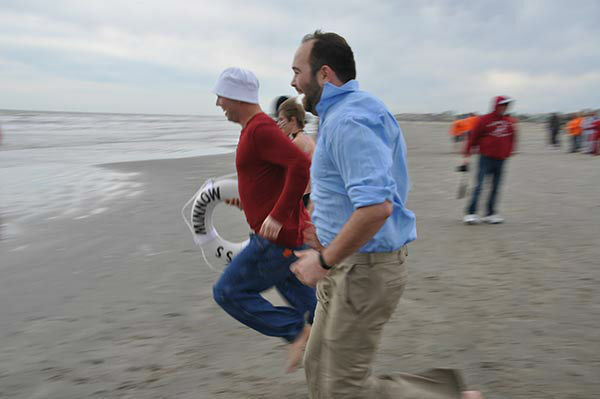 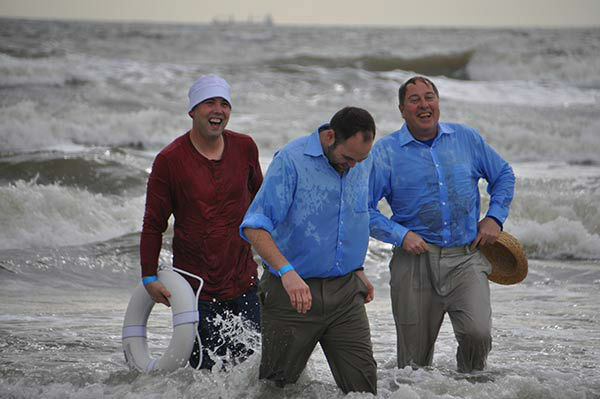 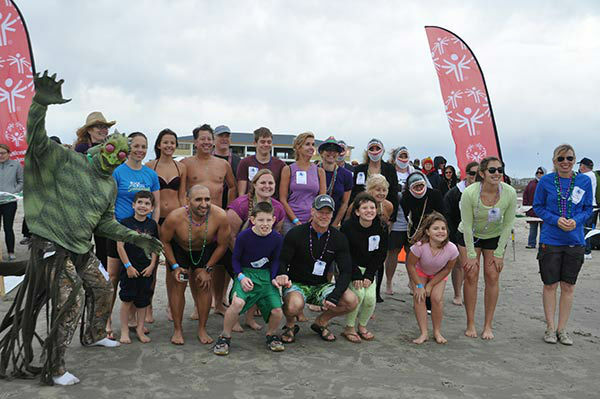 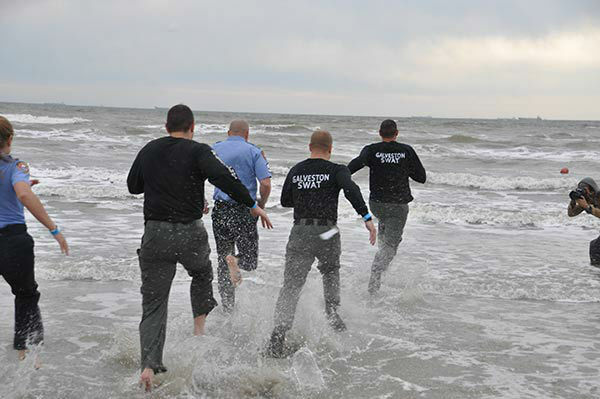 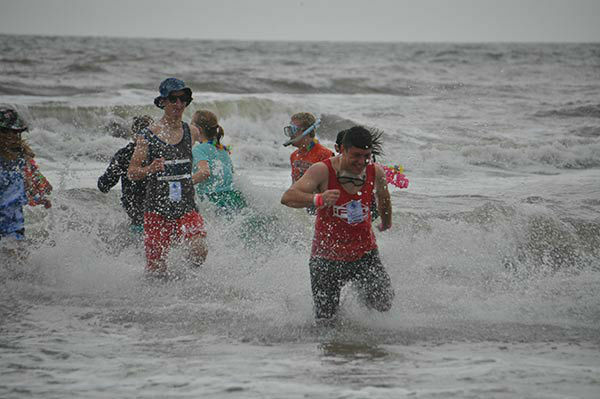 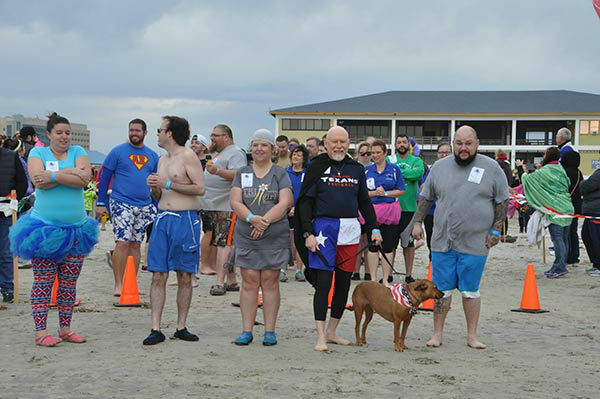 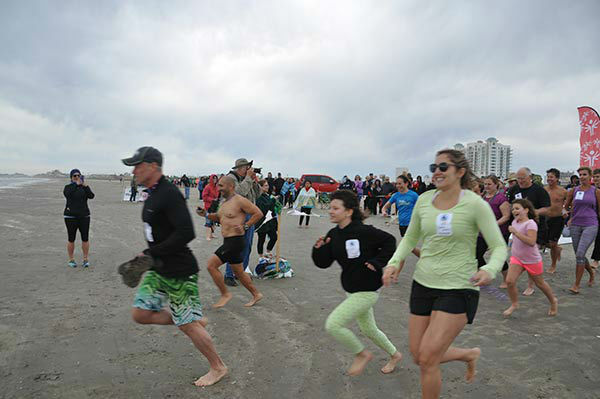 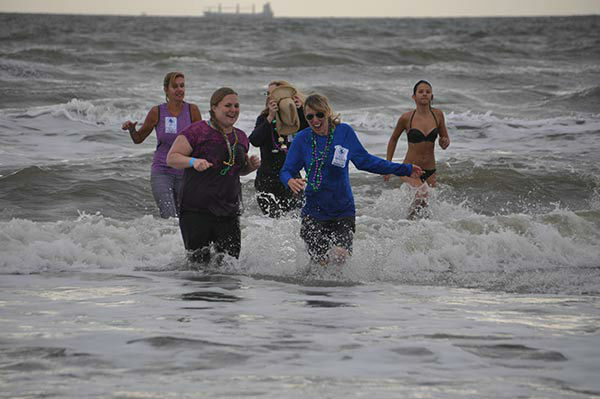 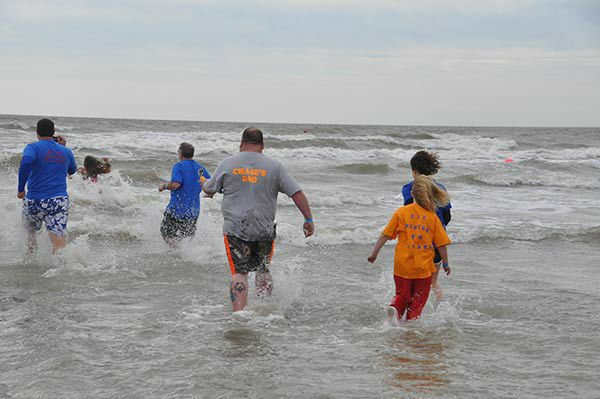 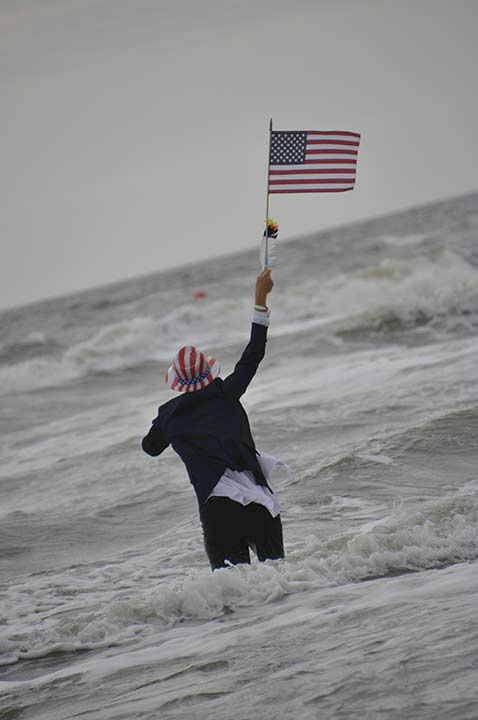 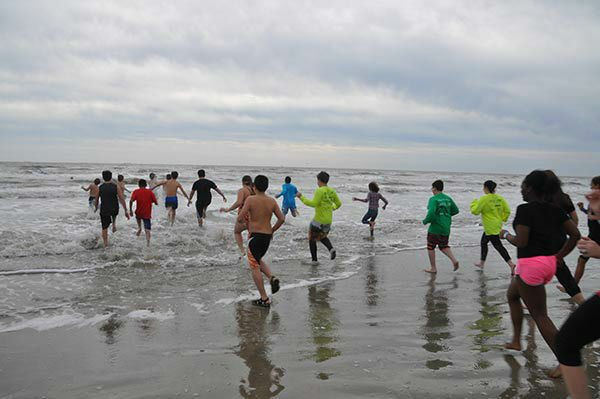 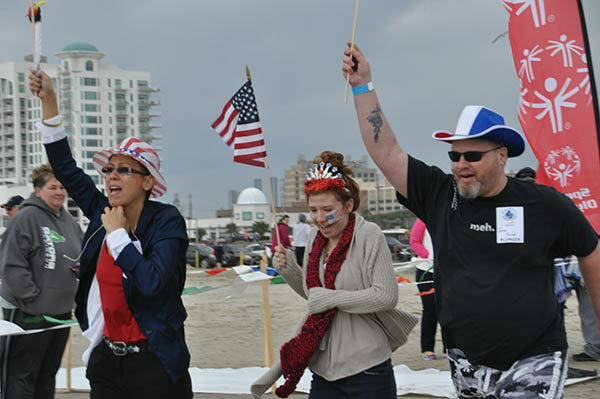 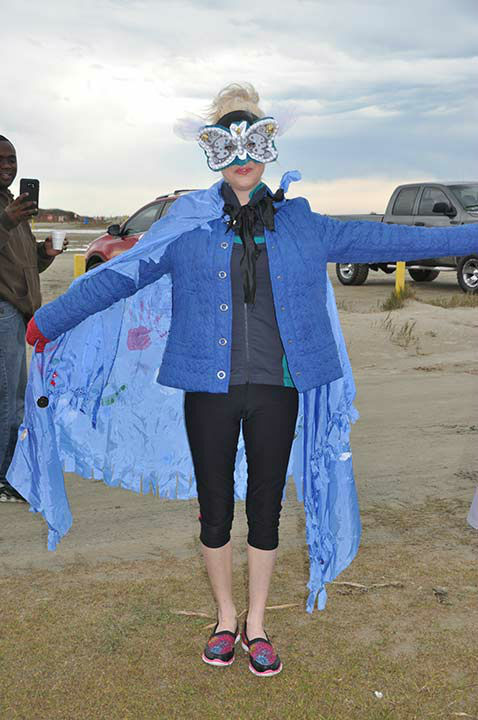 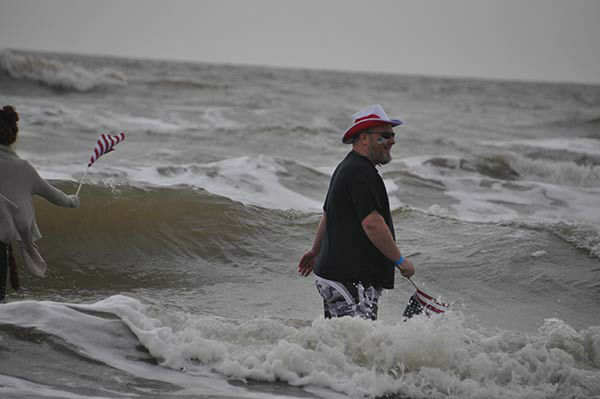 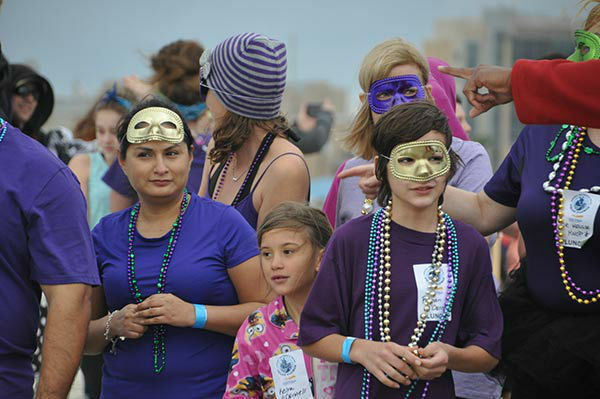 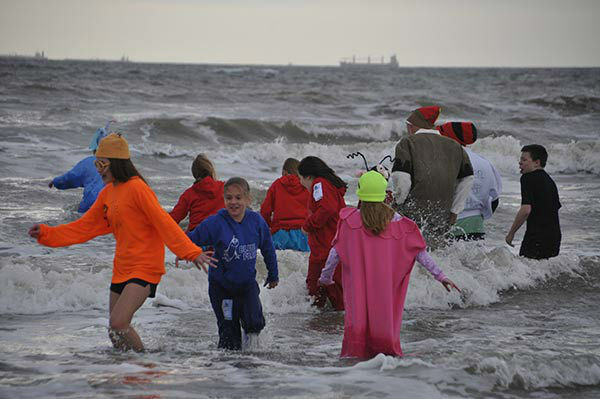 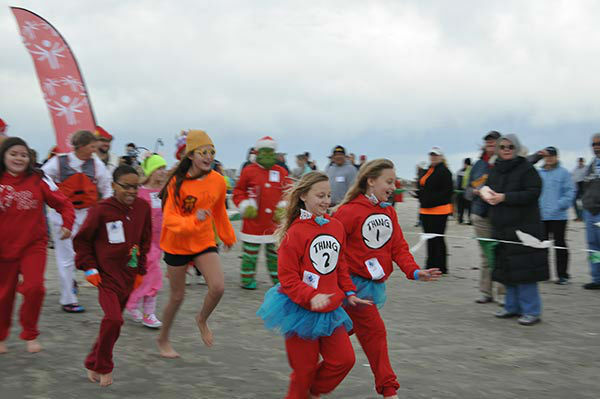 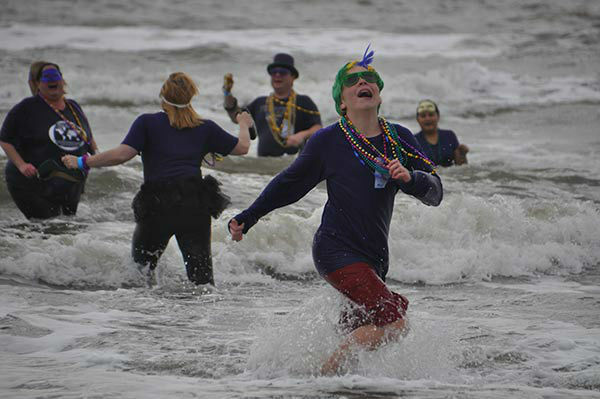 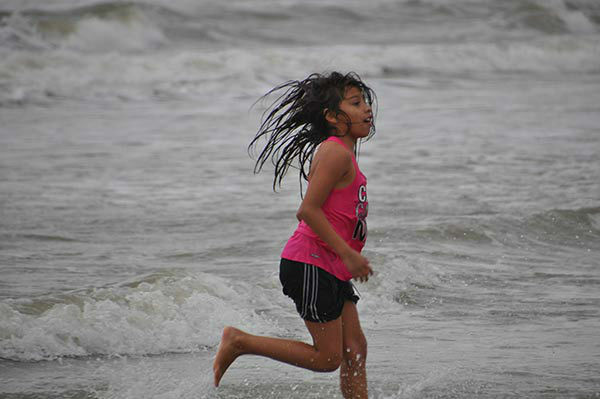 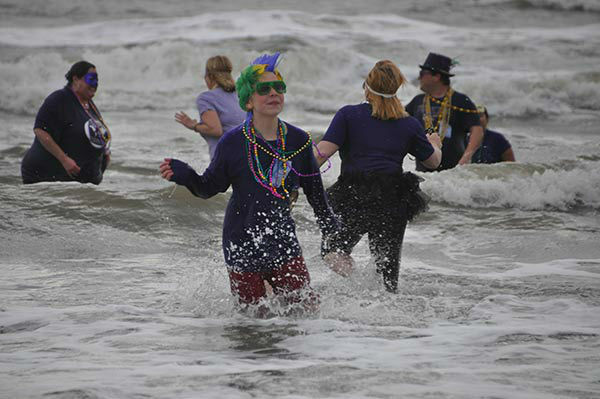 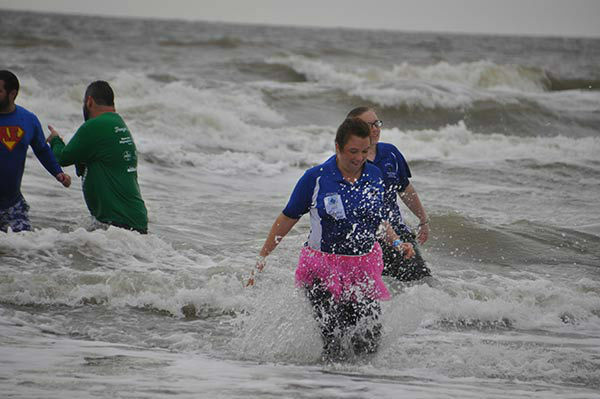 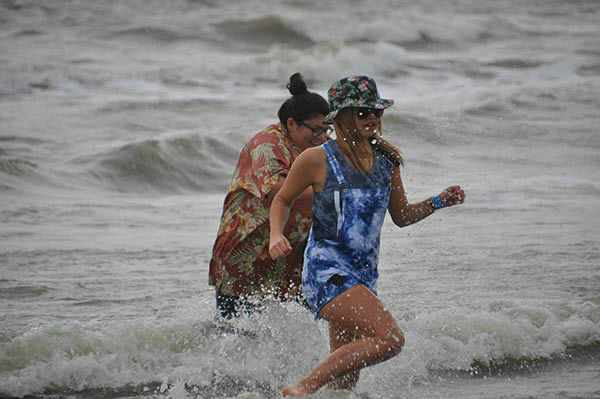 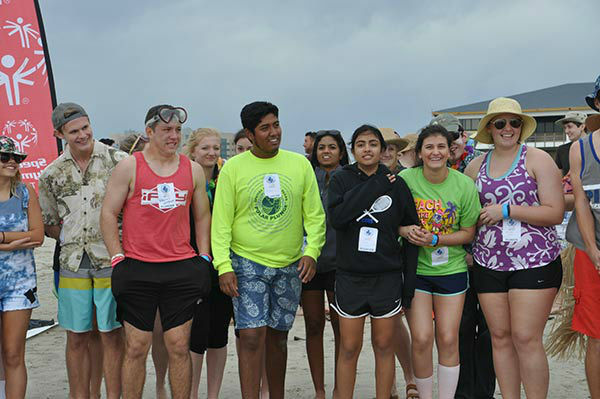 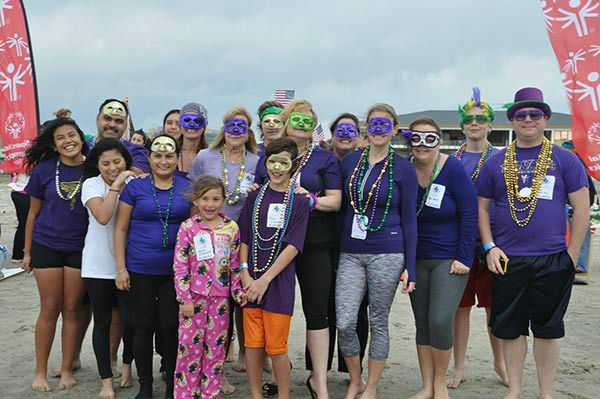 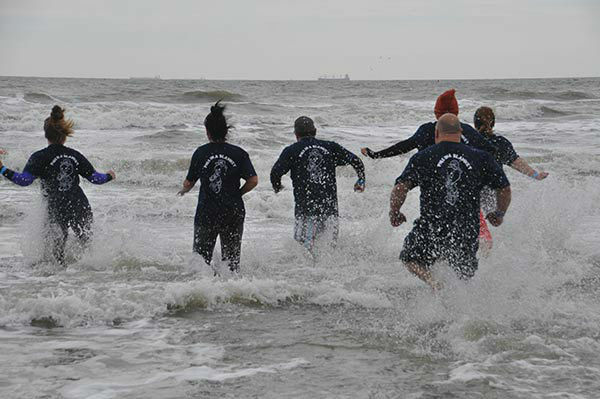 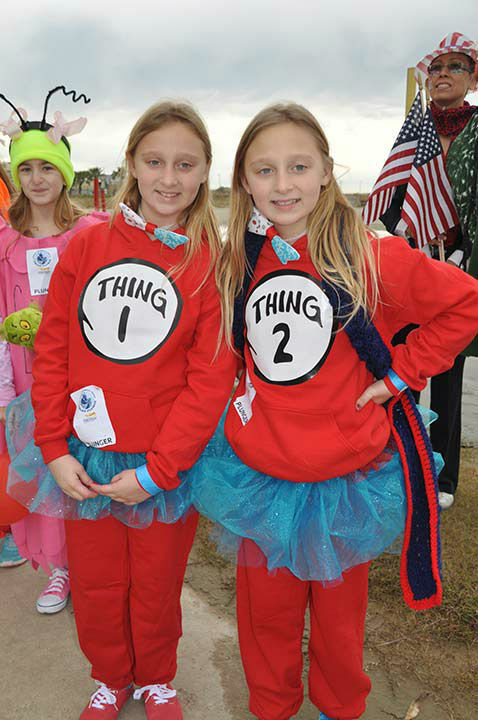 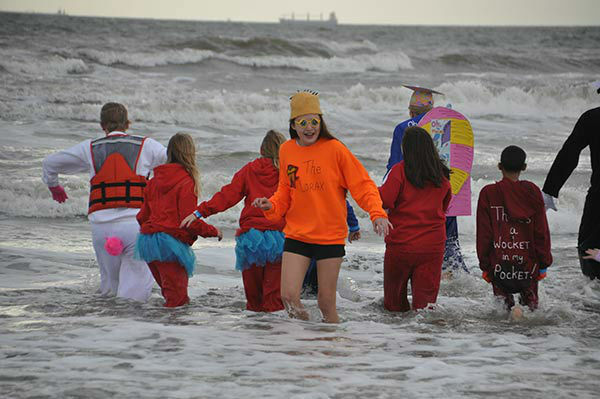 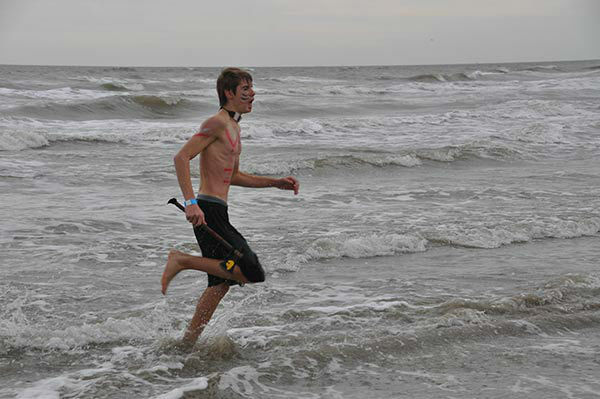 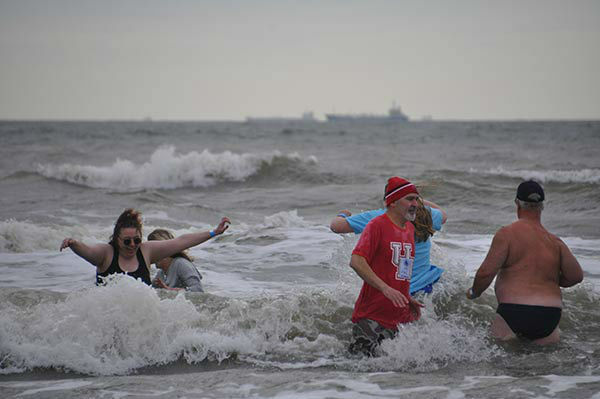 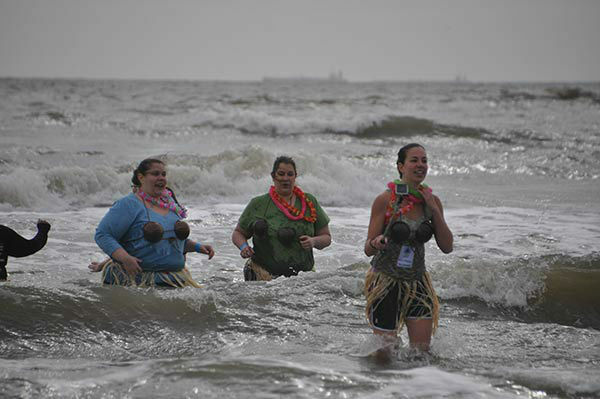 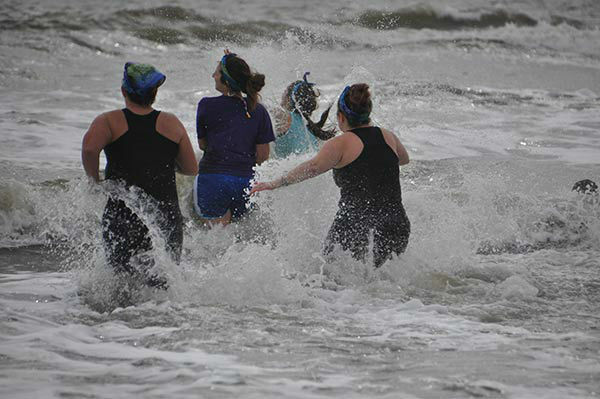 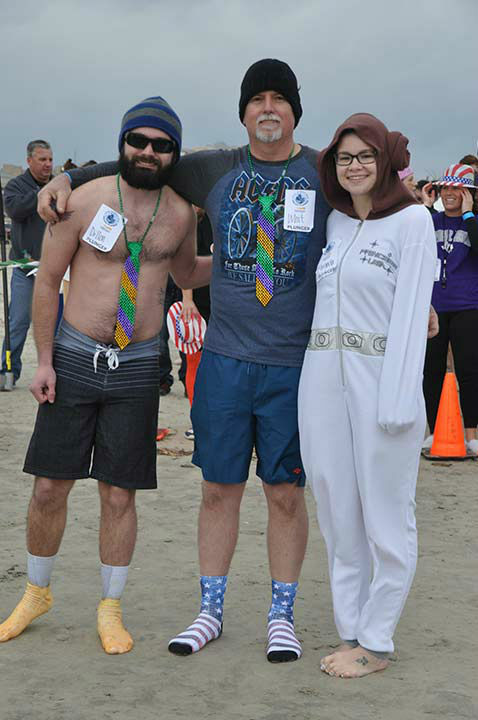 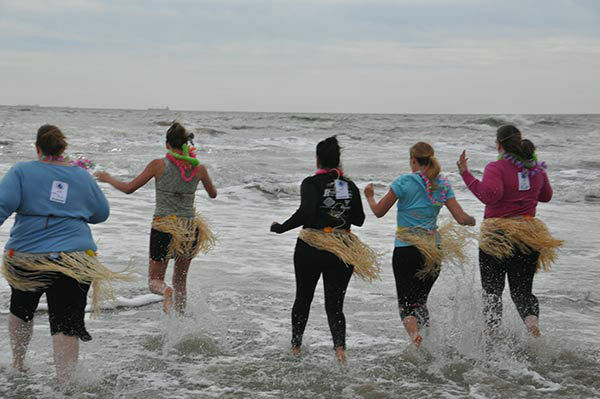 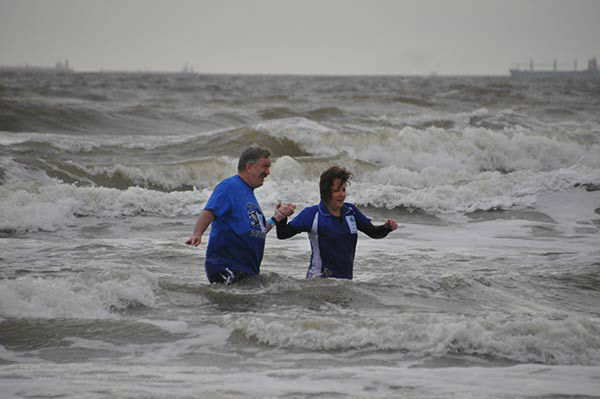 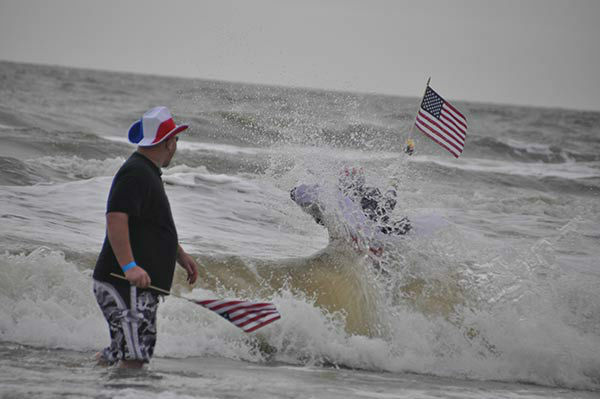 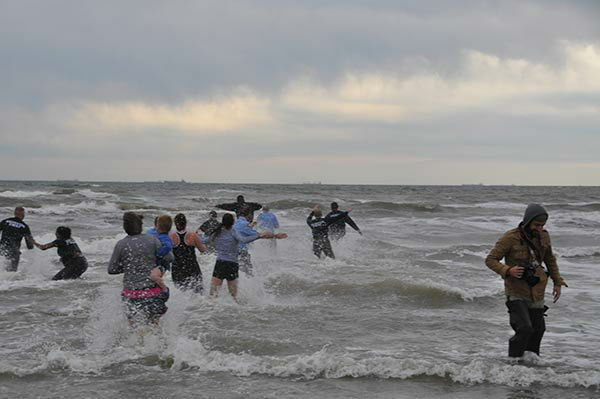 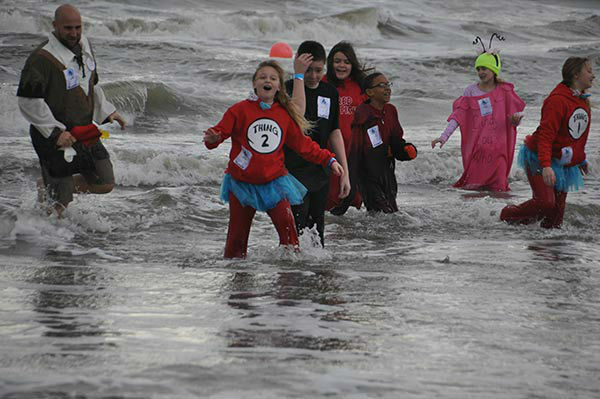 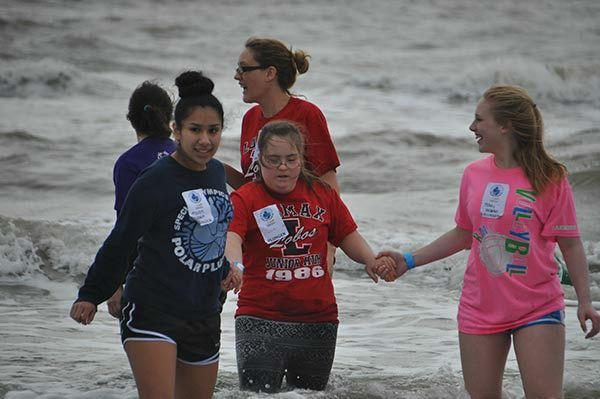 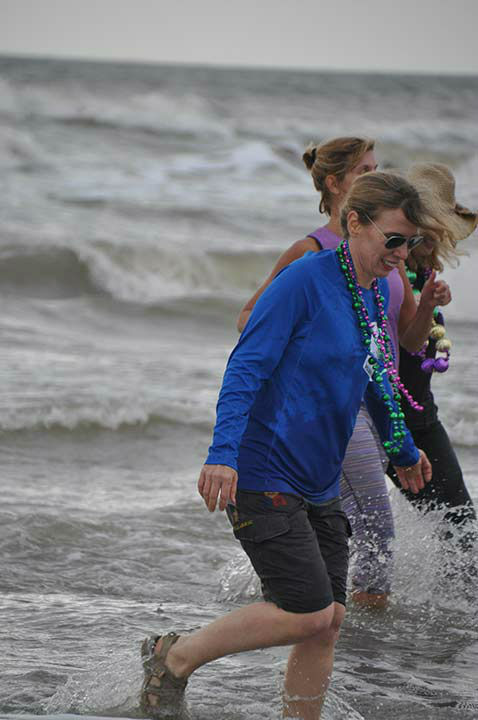 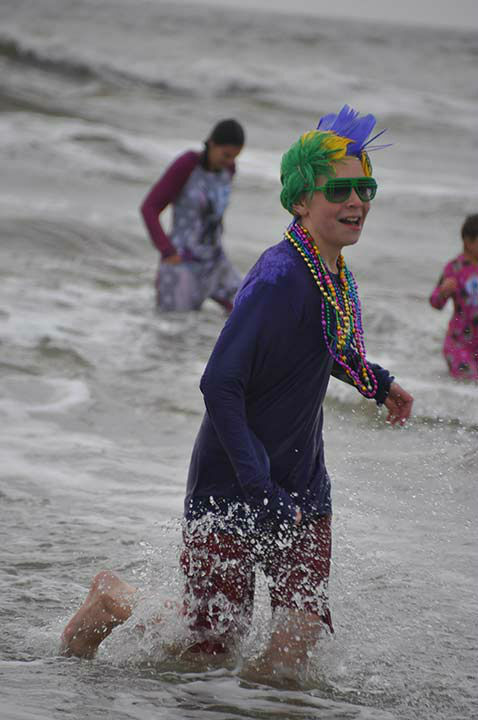 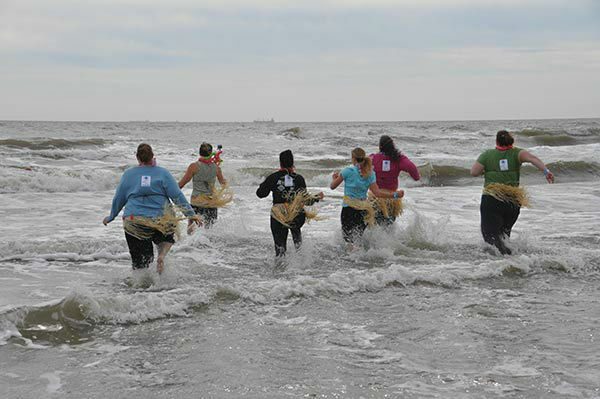 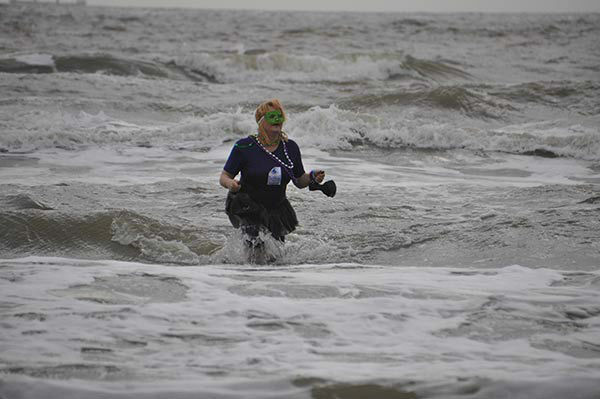 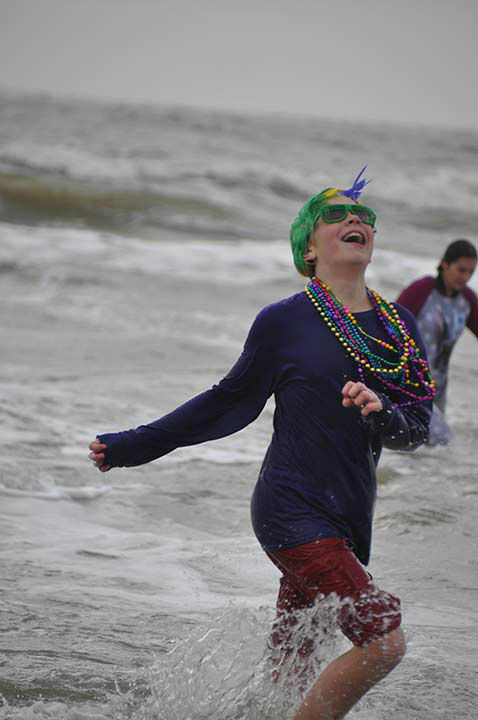 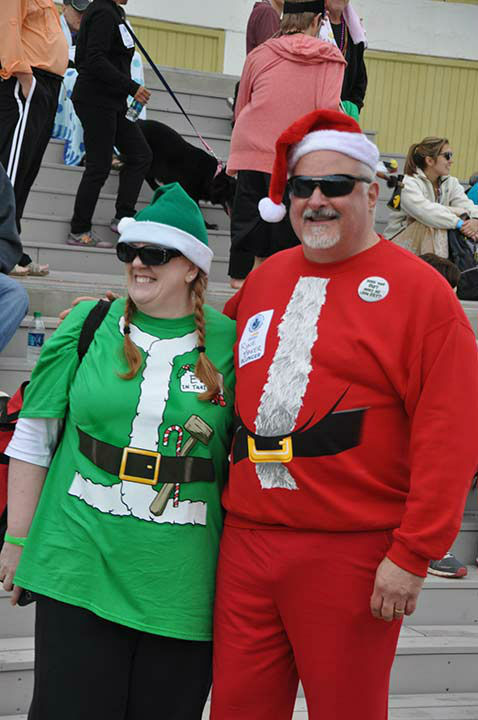 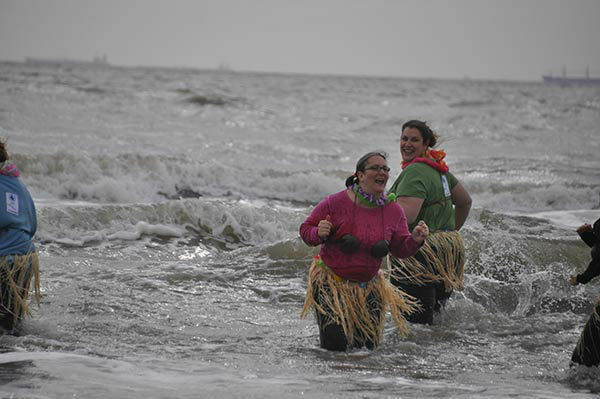 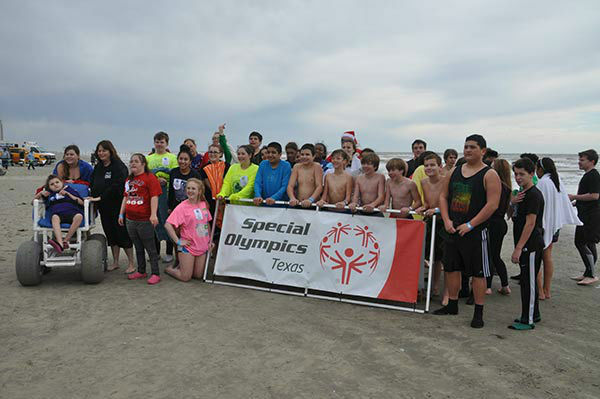 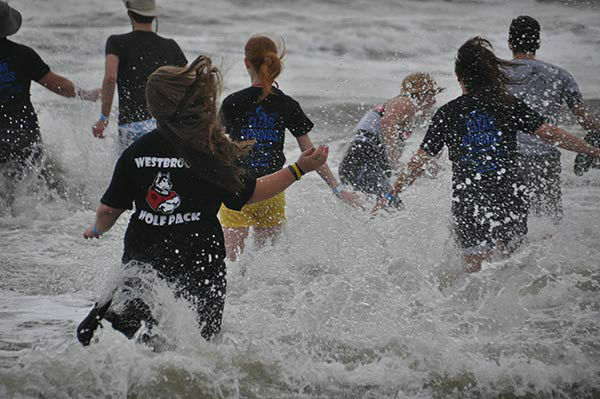 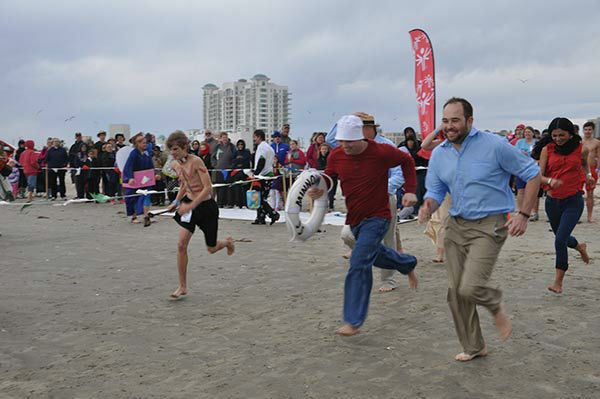 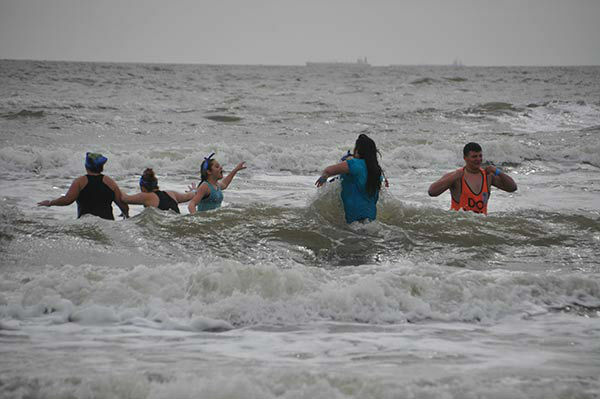 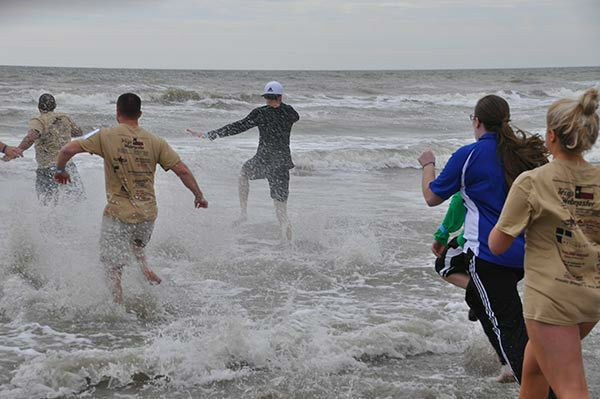 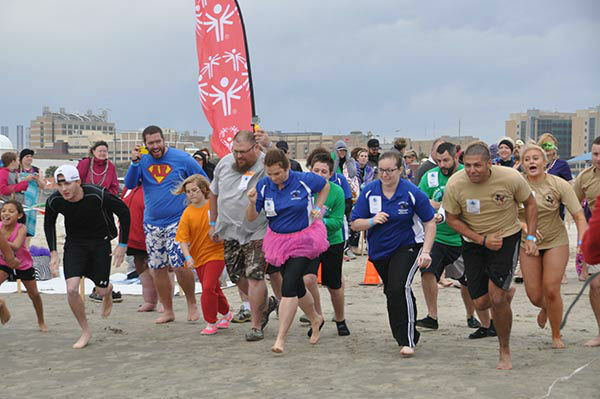 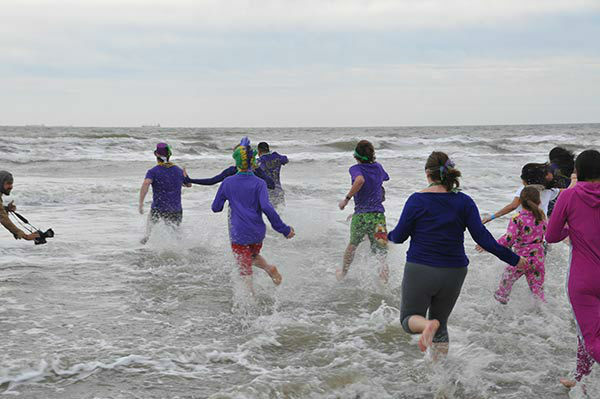 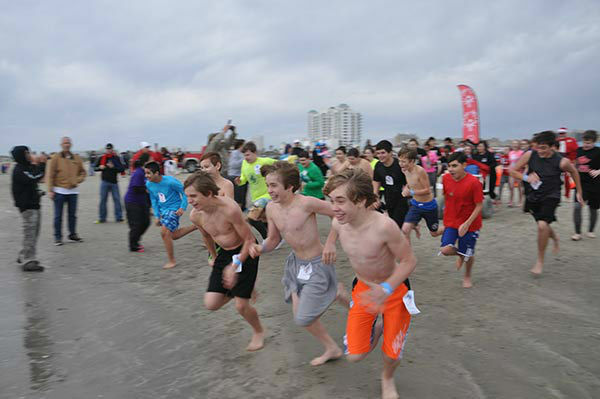 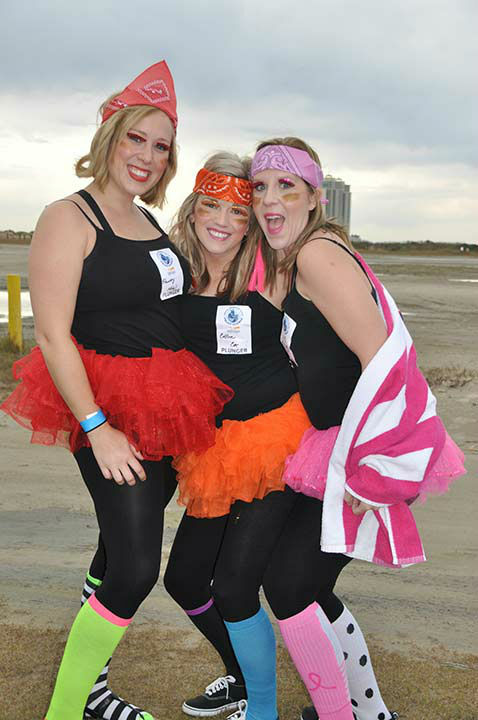 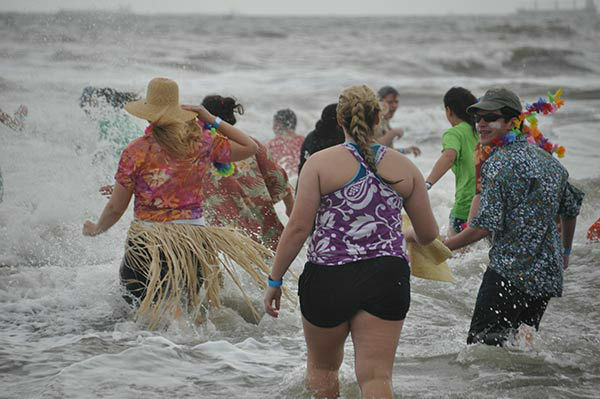 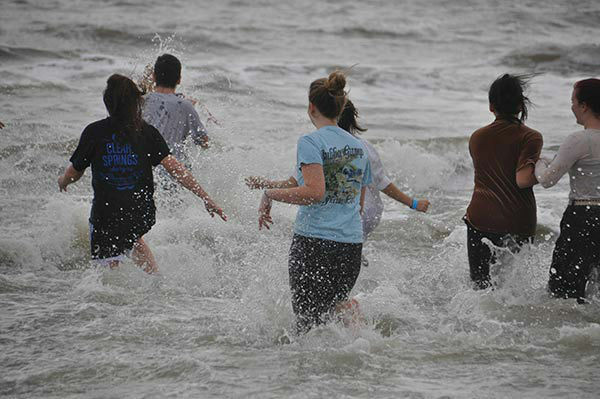 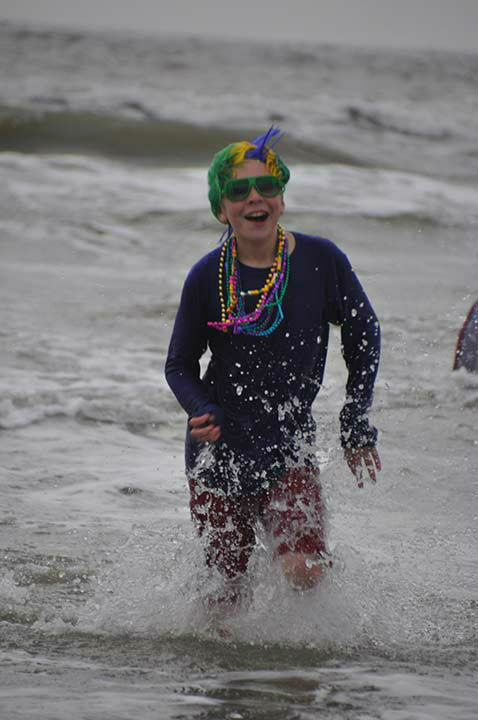 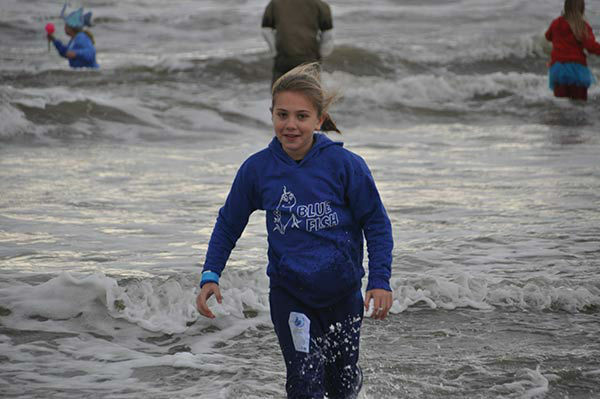 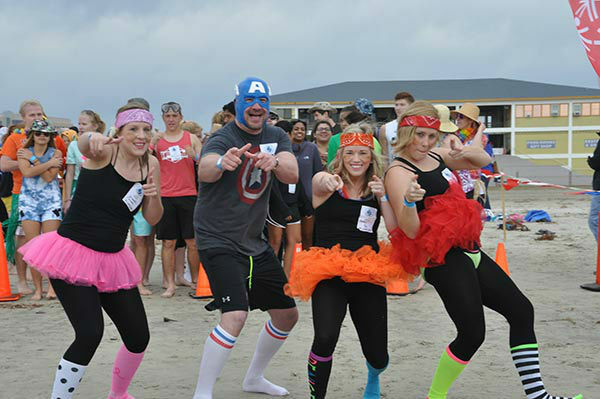 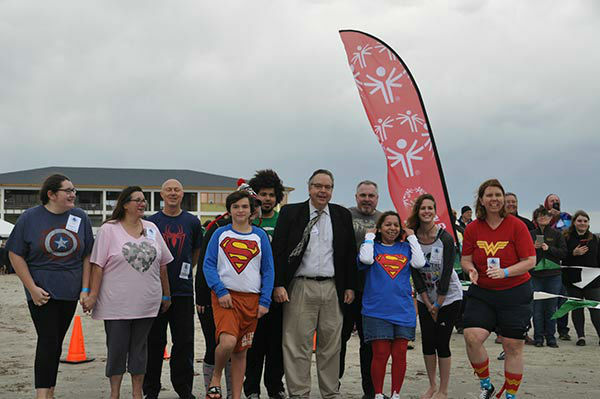 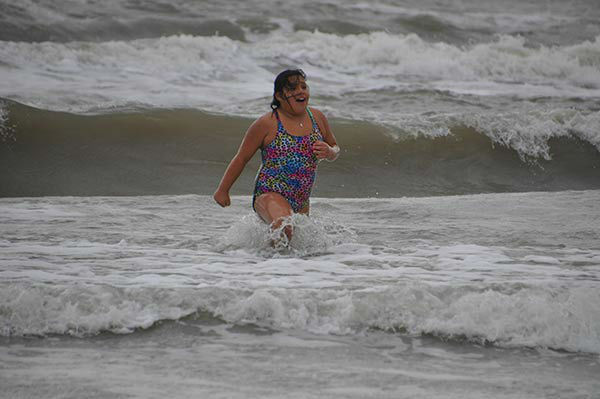 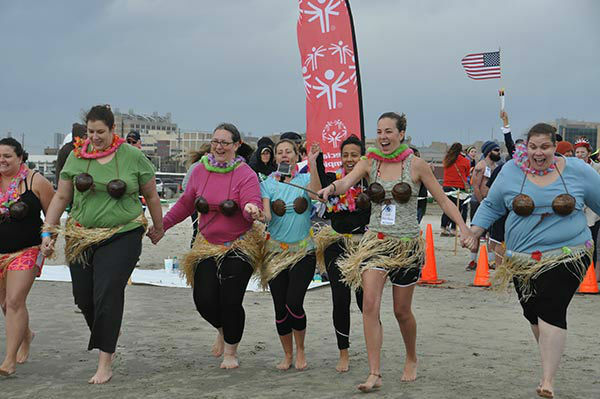 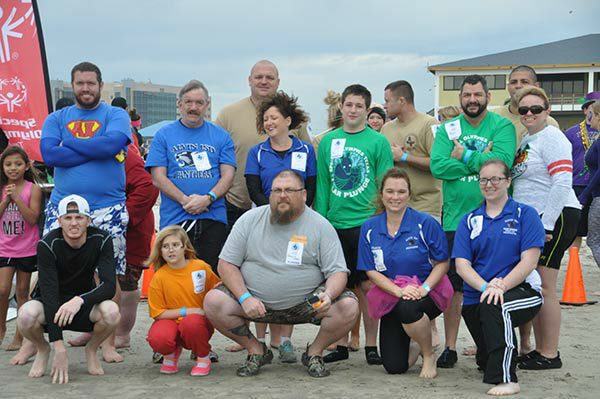 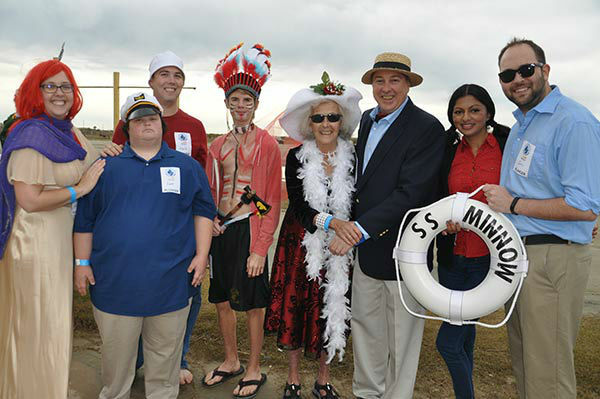 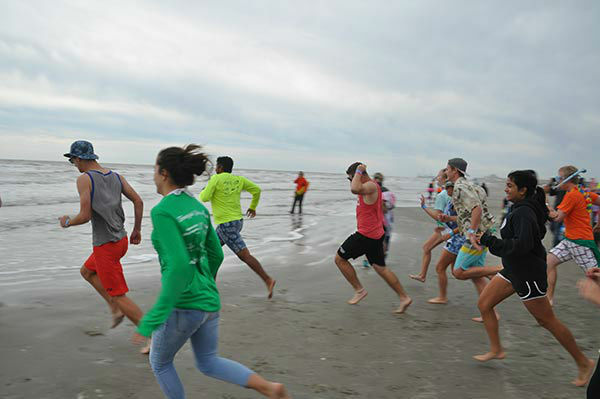 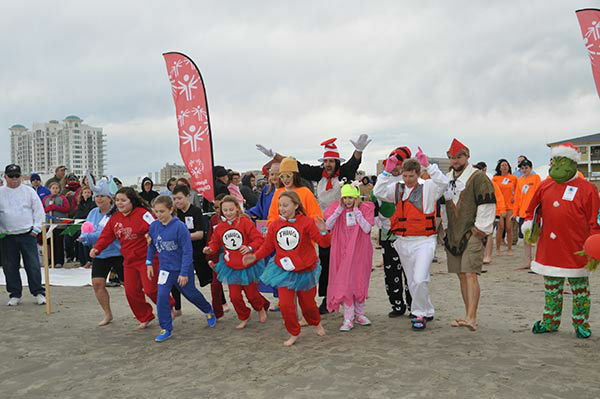 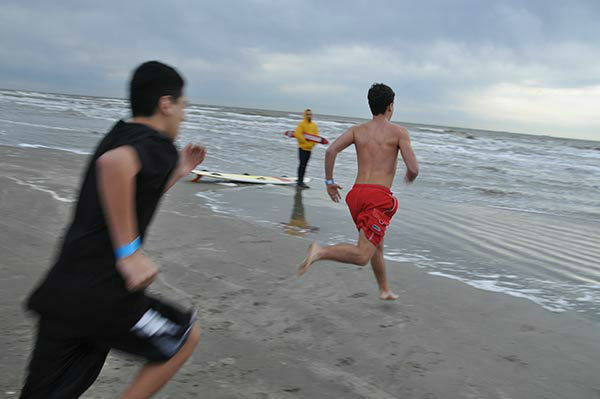 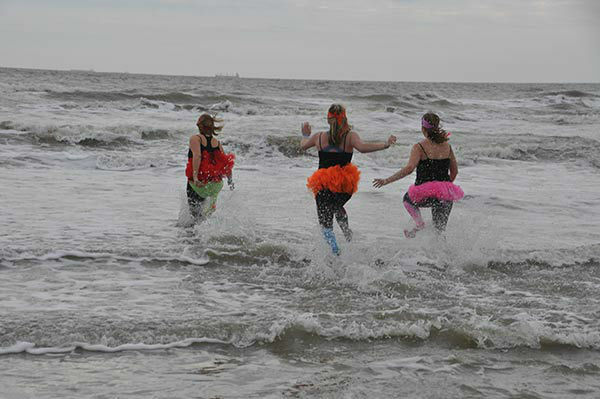 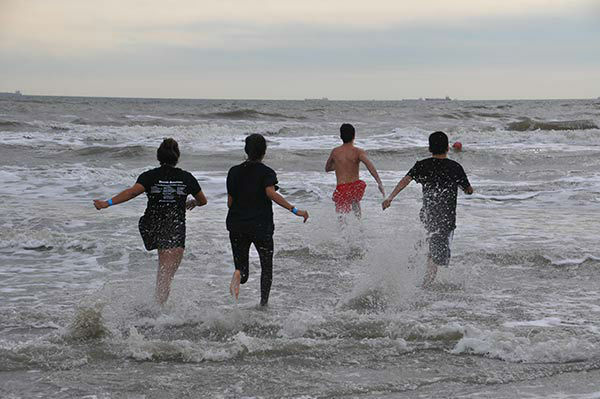 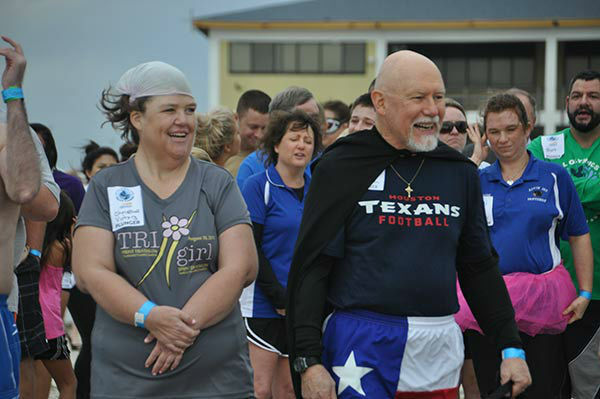 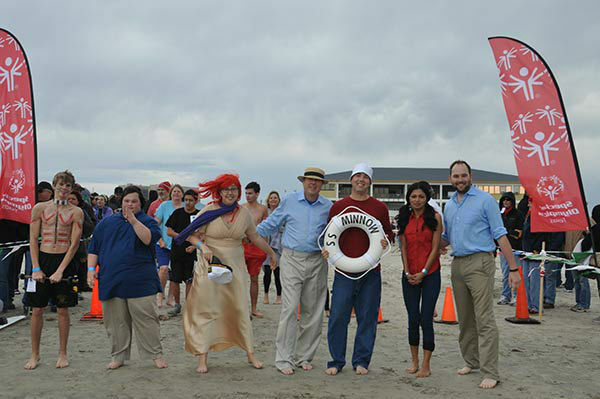 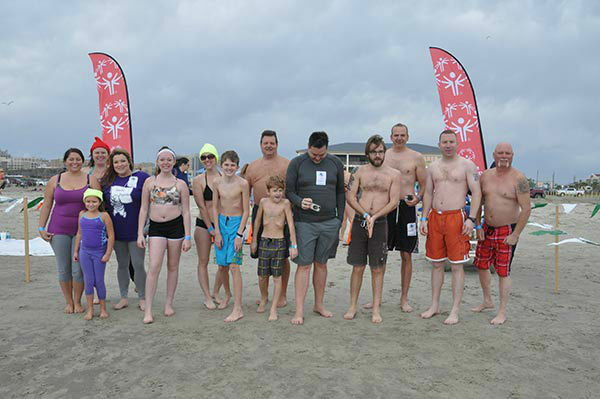 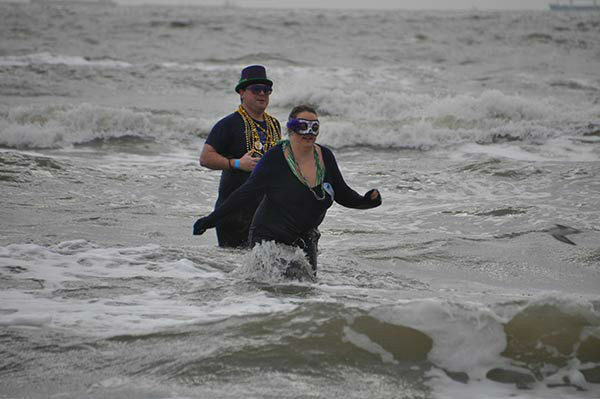 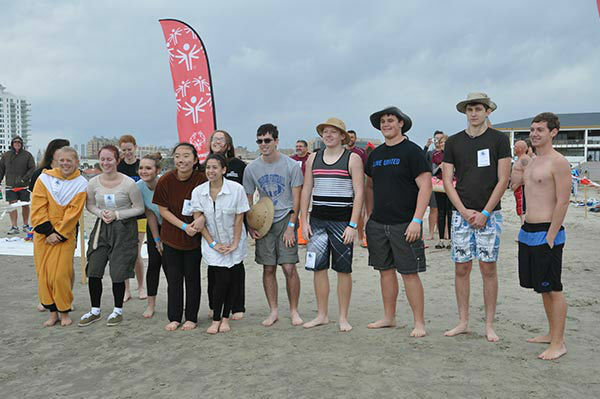 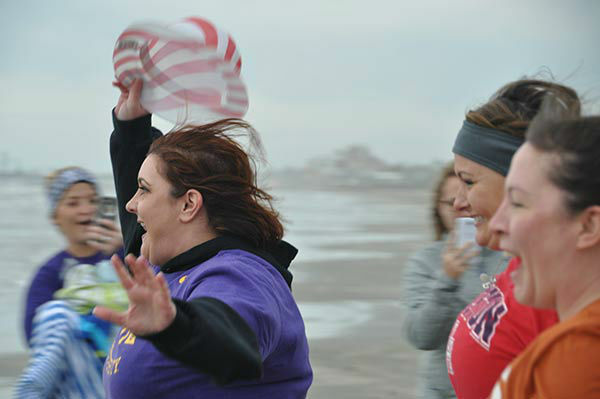 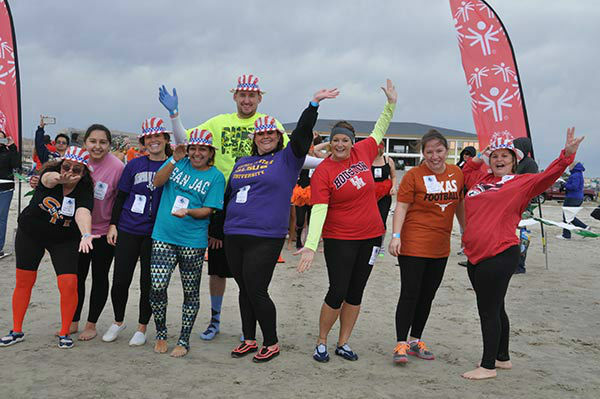 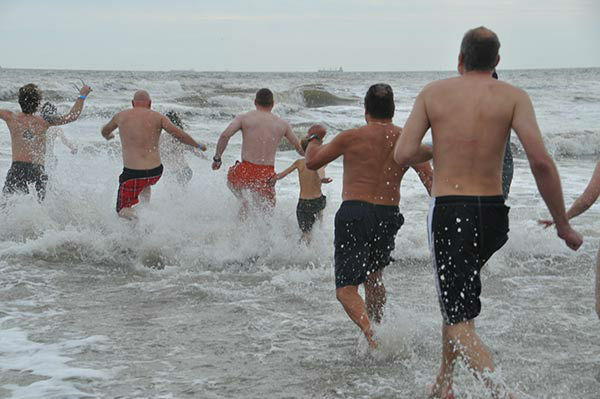 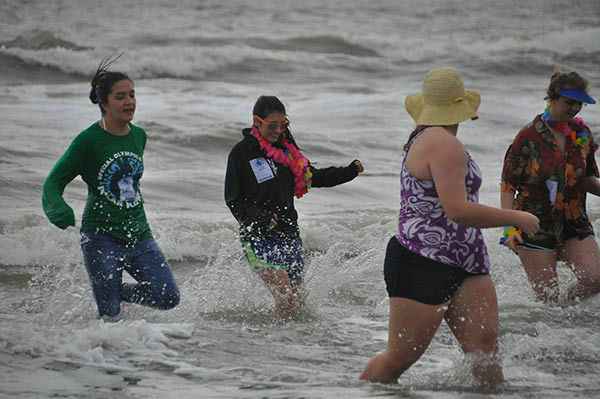 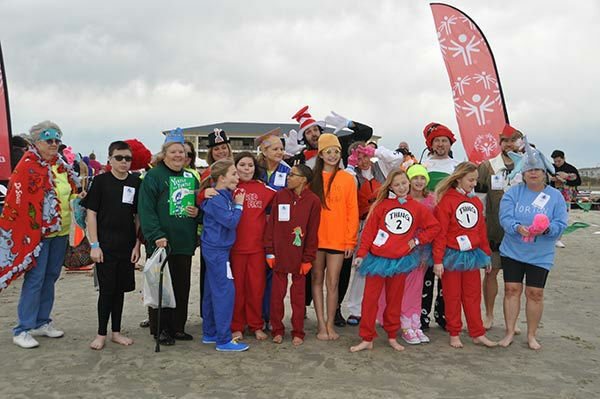 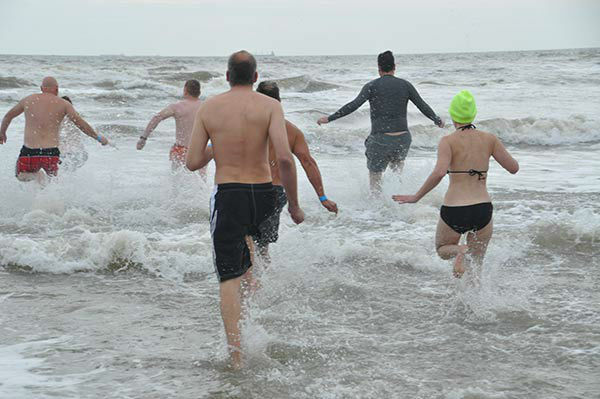 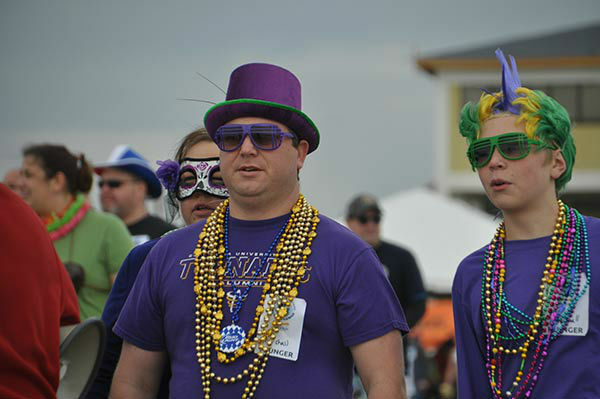 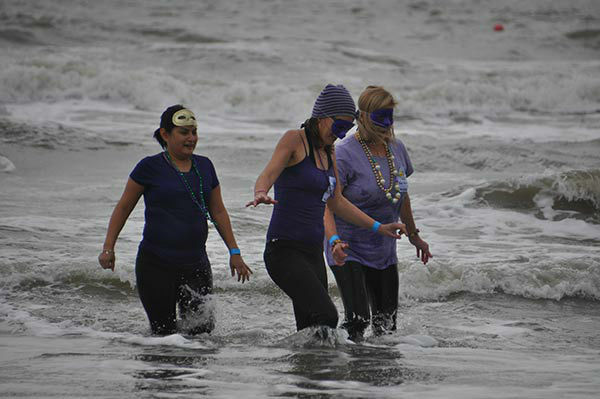 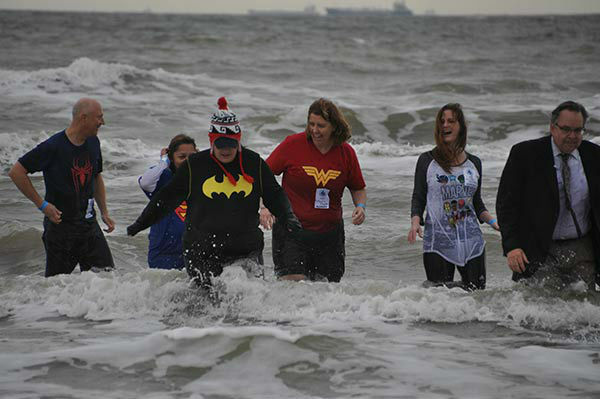 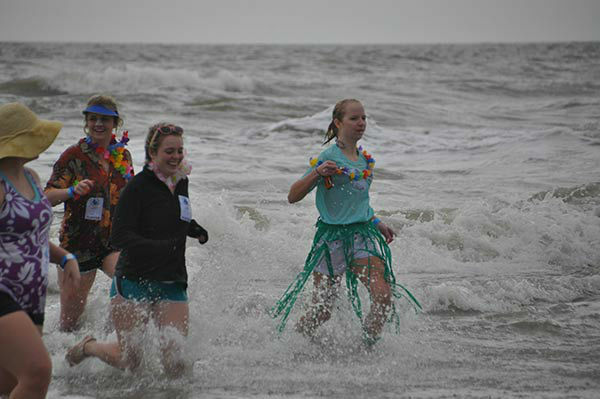 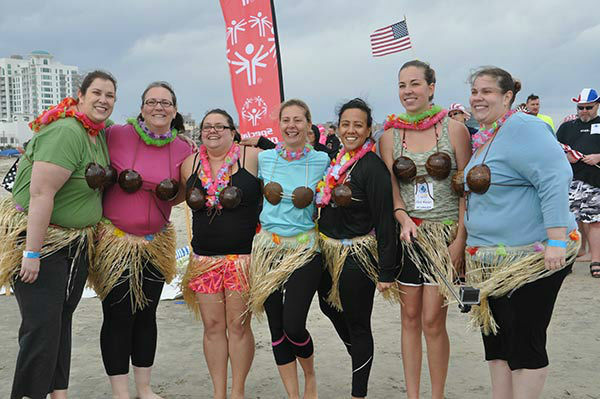 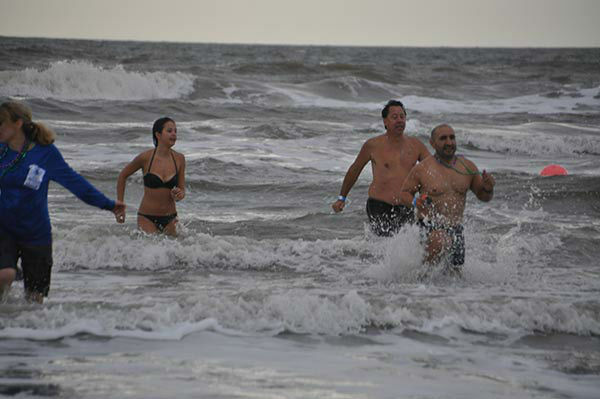 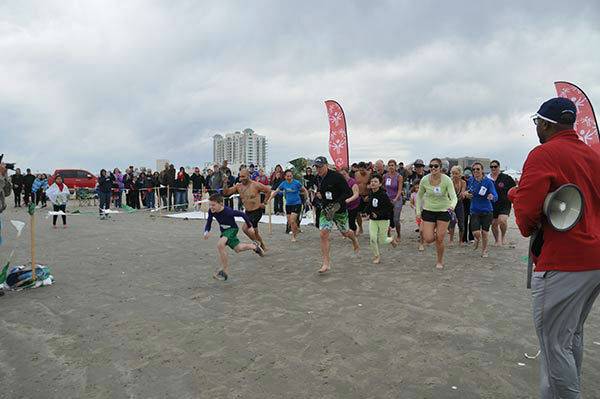 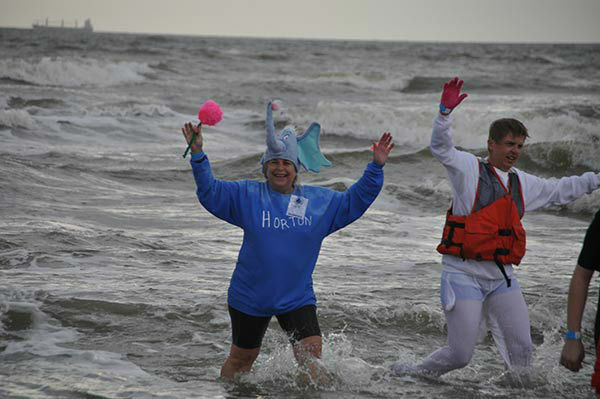 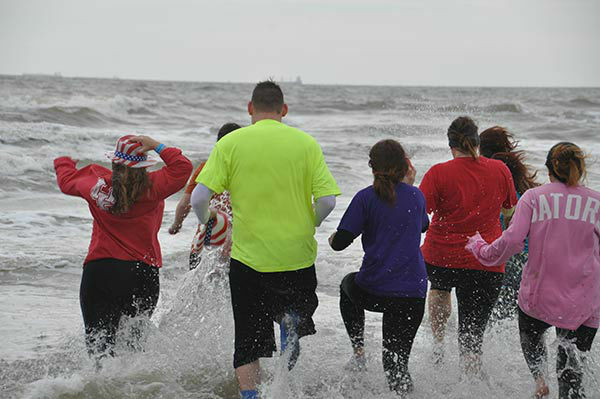 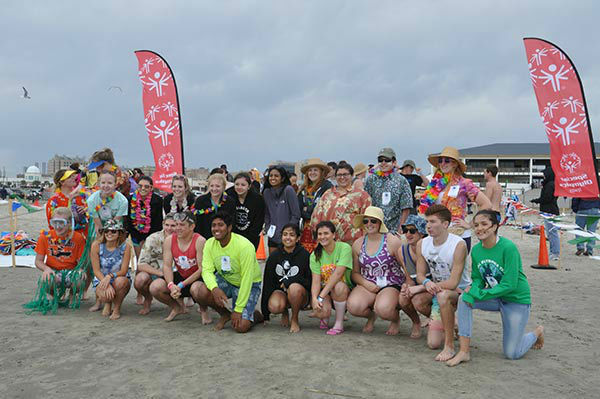 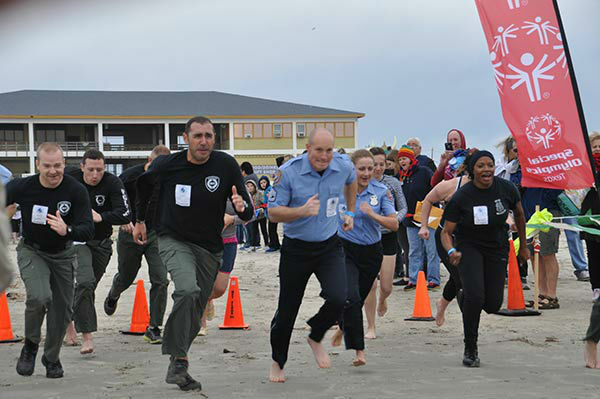 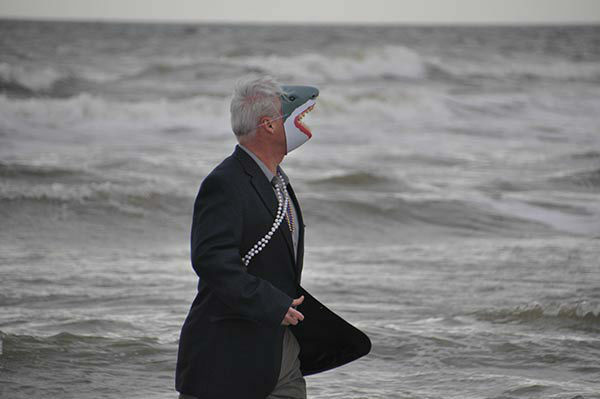 GALVESTON, TX -- It's that time of year, when brrrave individuals, groups and organizations jump into chilly water to support Special Olympics Texas athletes. 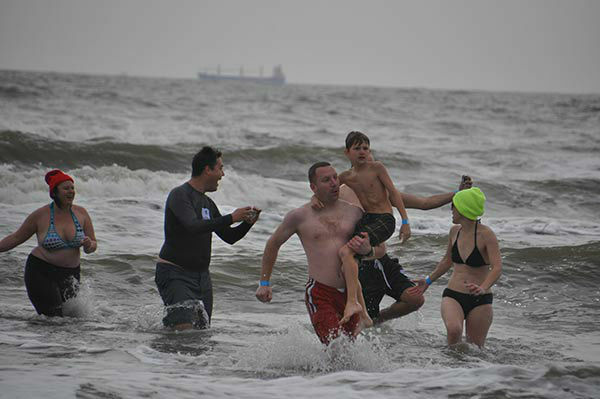 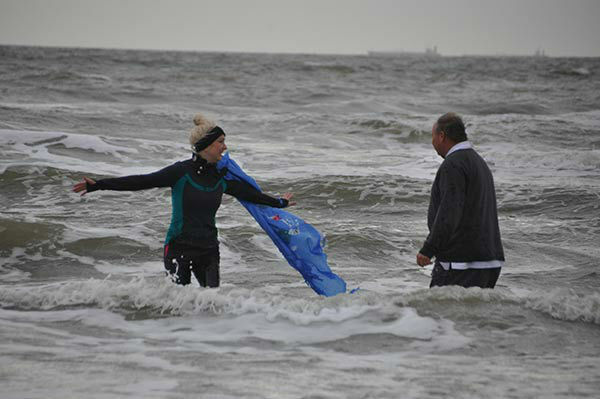 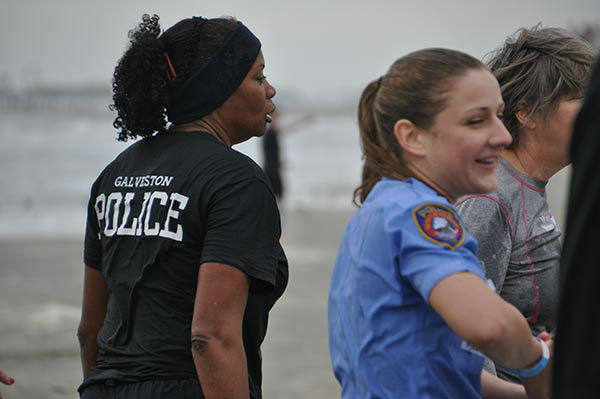 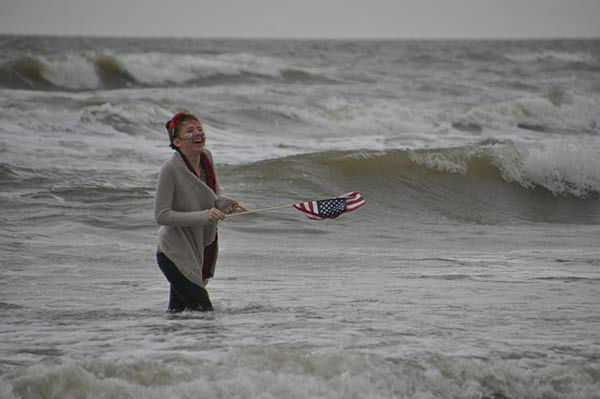 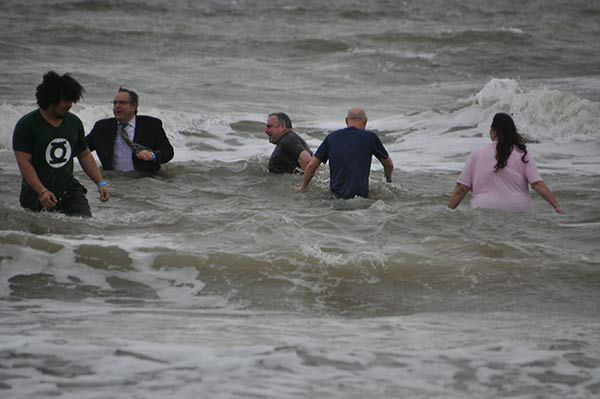 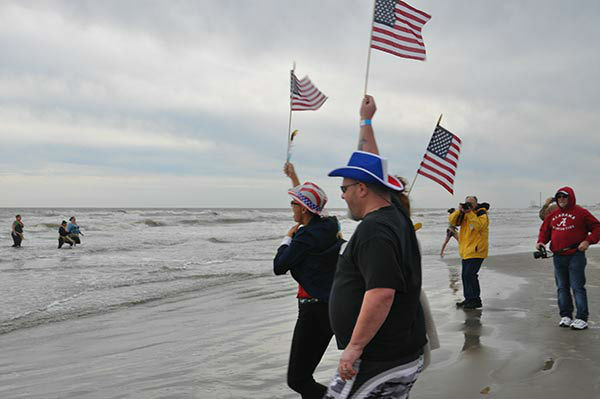 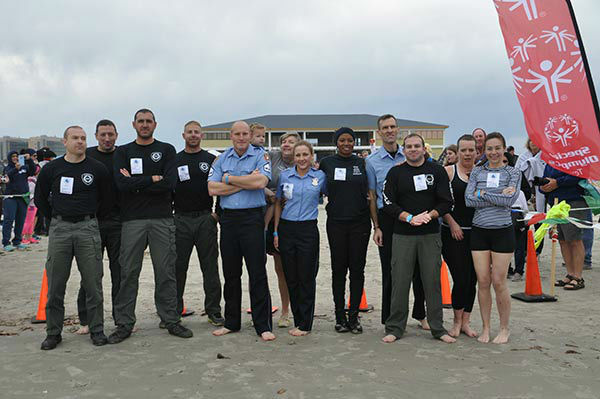 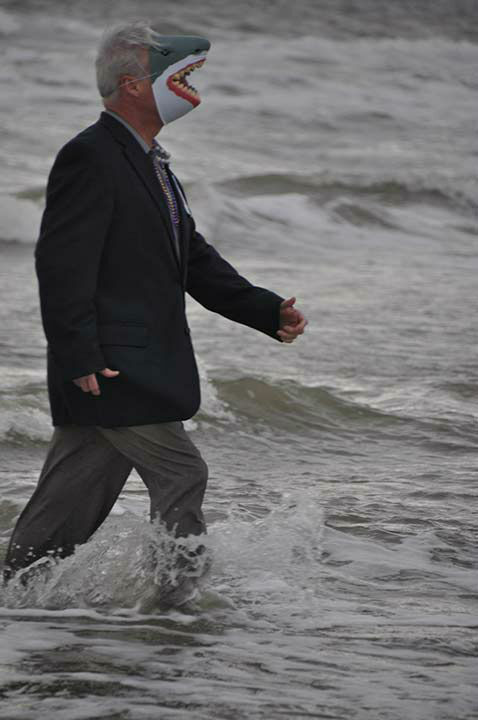 These tough, and not so tough, souls plunged into the water from Galveston's Stewart Beach on Saturday, January 16, 2016. 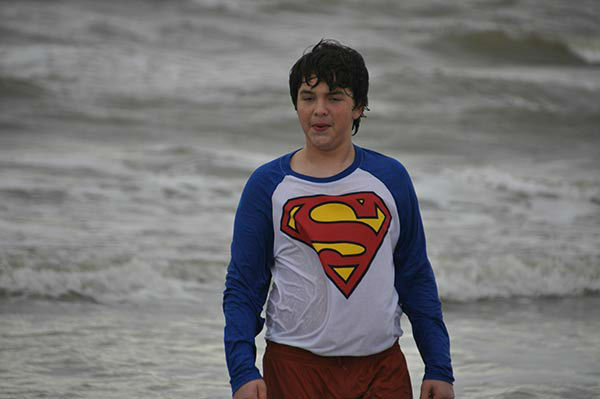 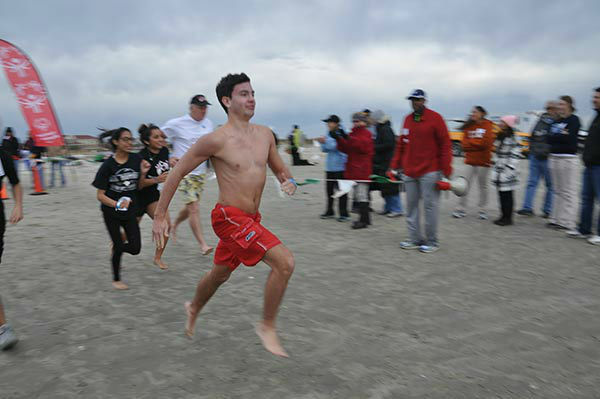 5th Annual Polar Plunge for Special Olympics. 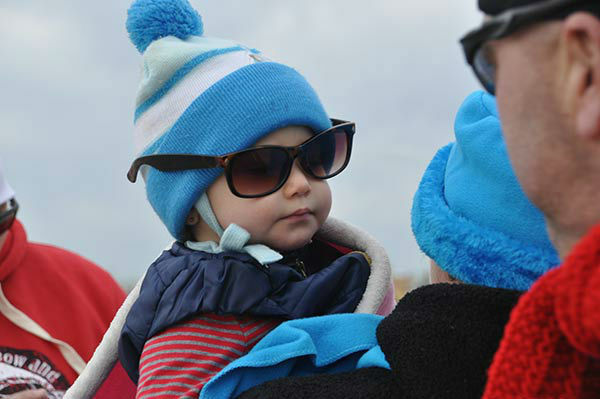 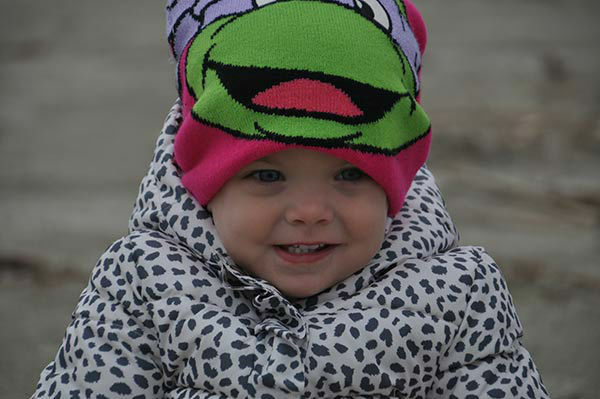 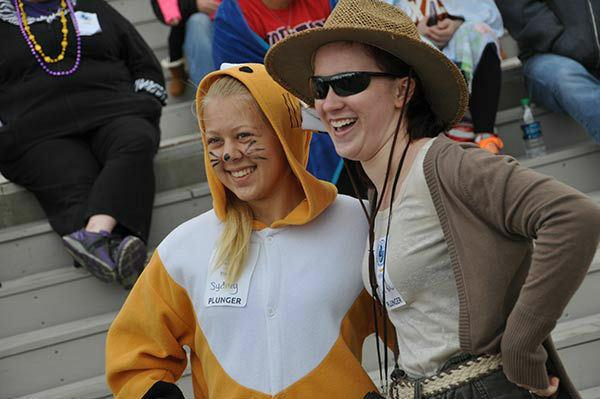 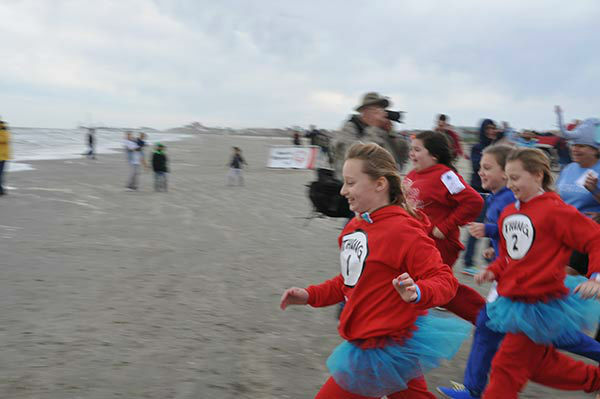 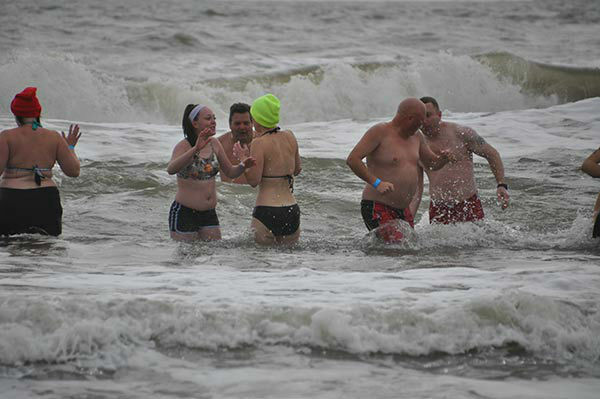 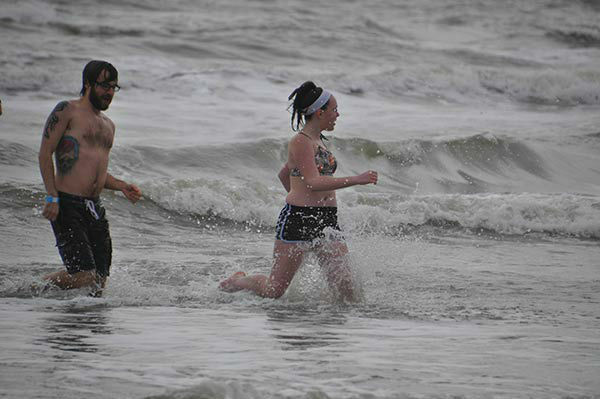 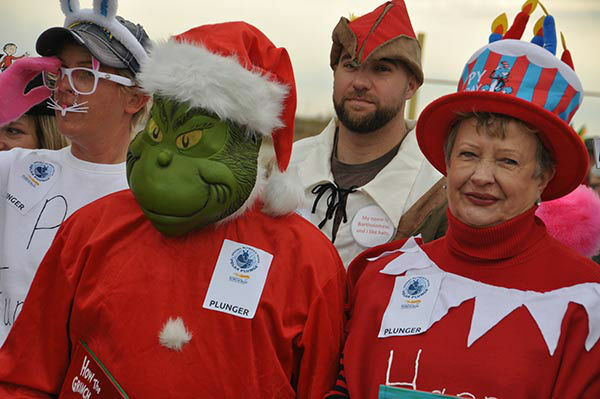 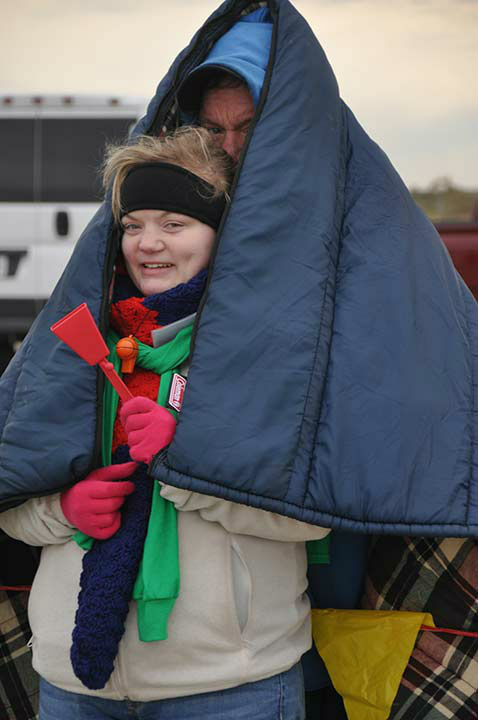 Hundreds of 'plungers' raised more than $45,000 in the 5th Annual Polar Plunge. 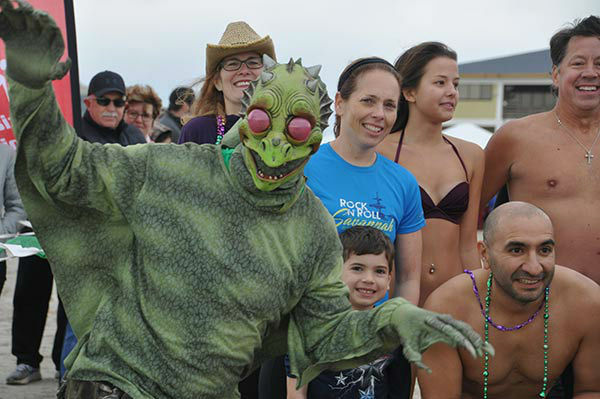 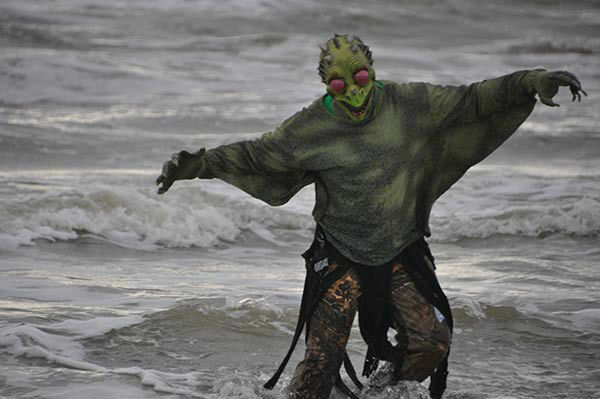 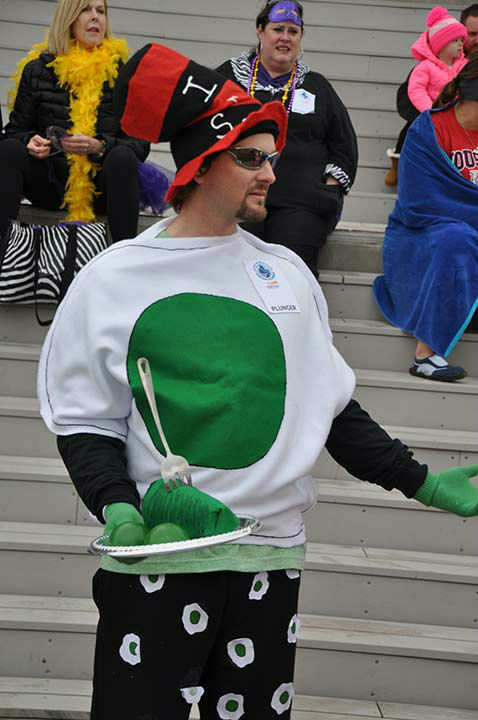 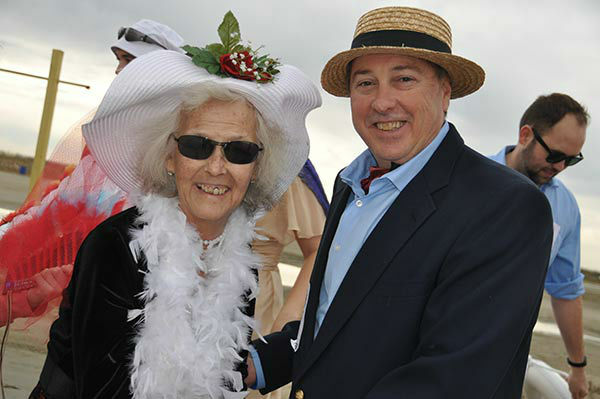 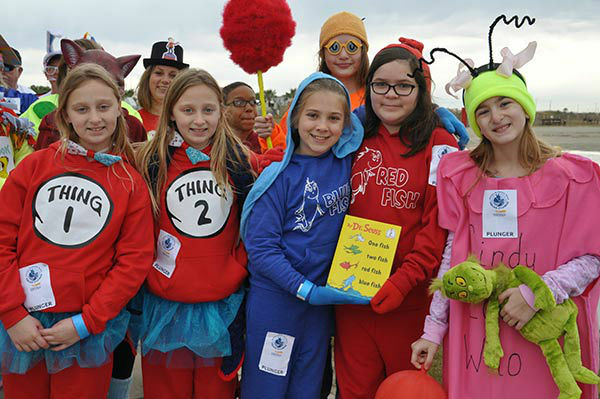 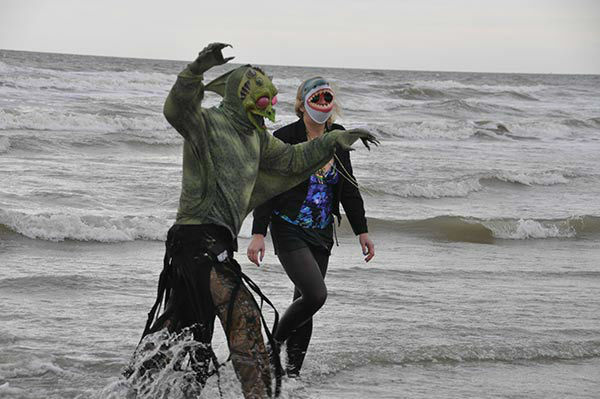 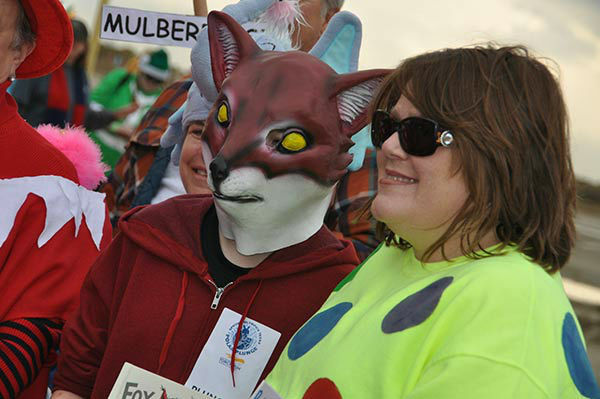 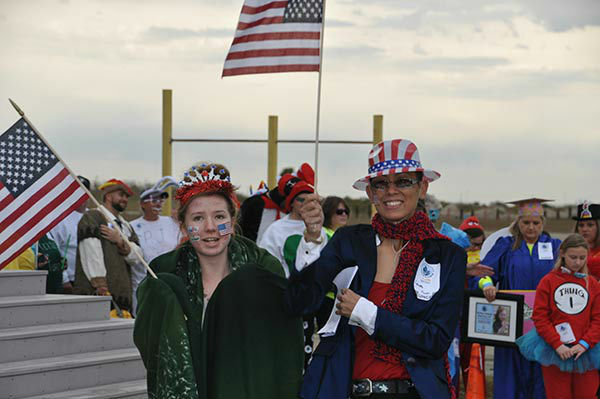 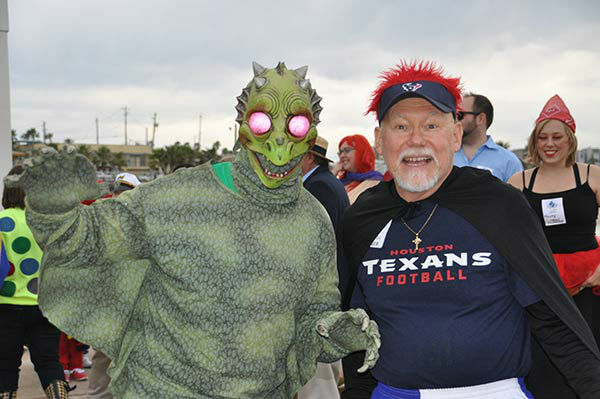 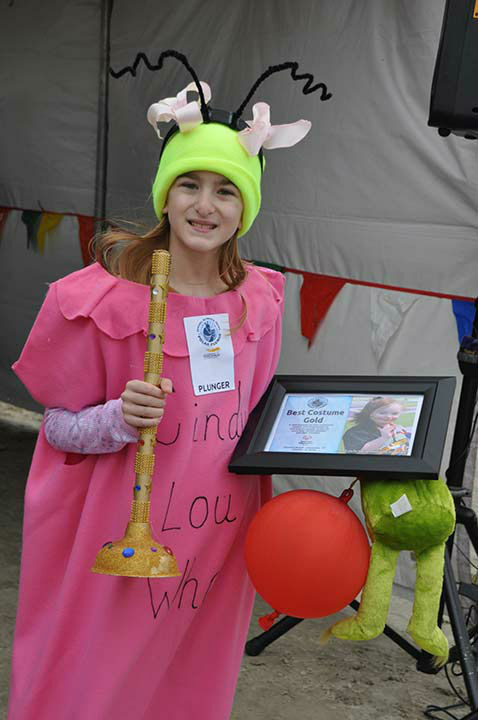 This year's event was highlighted by a costume contest, with the Creature from the Black Lagoon (a crowd favorite) taking the Bronze Plunger honors. 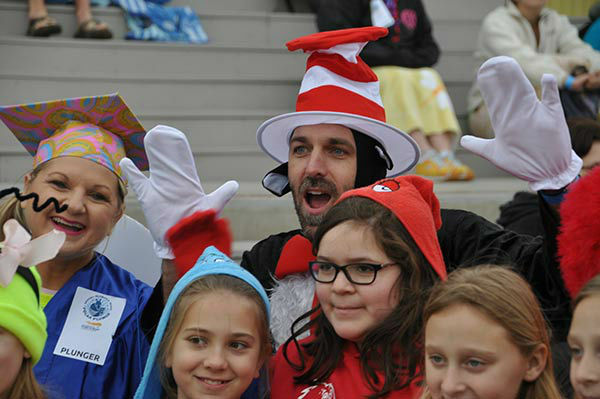 The cast and crew from Gilligan's Island was awarded the Silver Plunger, and very large student group that included most all of the favorite Dr. Suess characters took the top prize, the Golden Plunger.